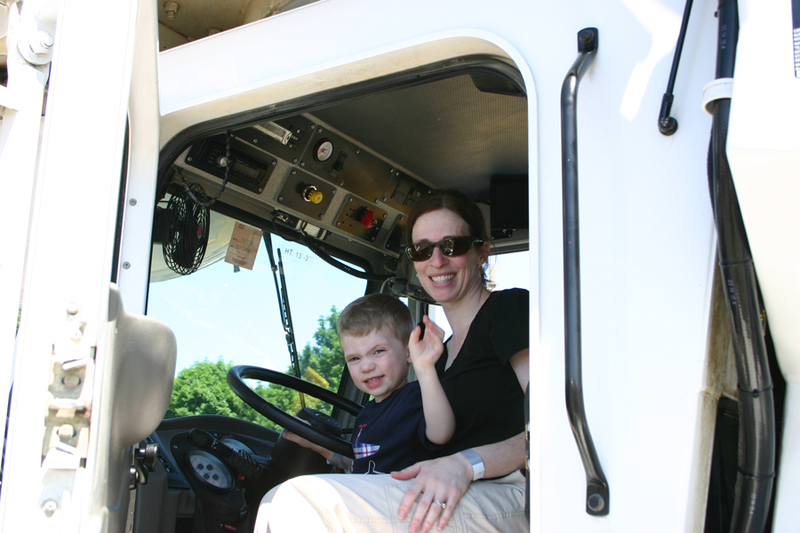 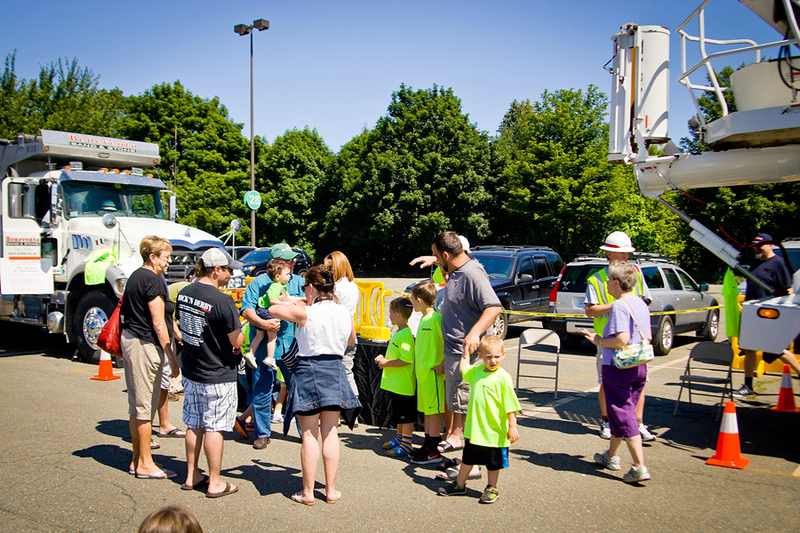 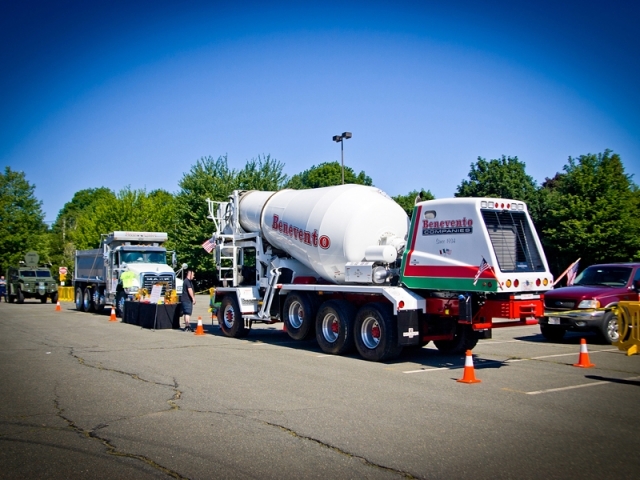 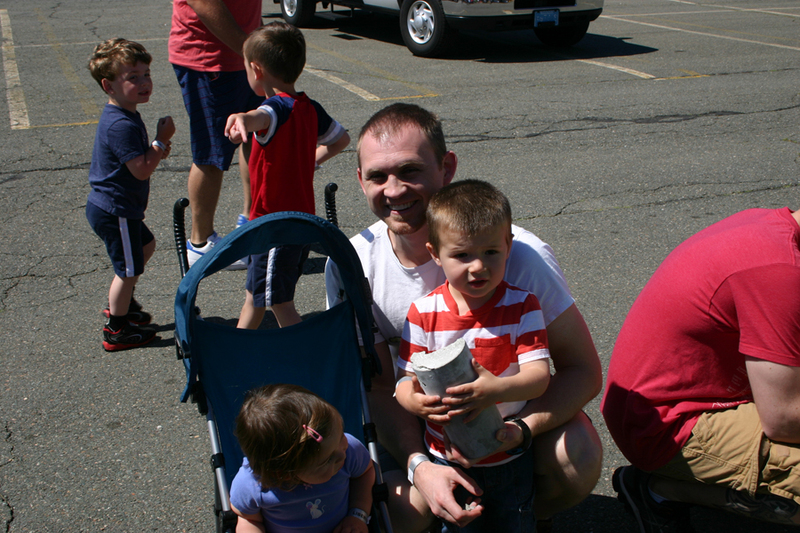 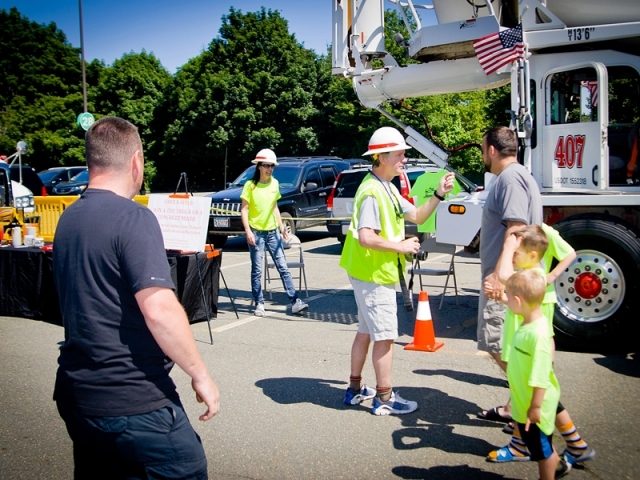 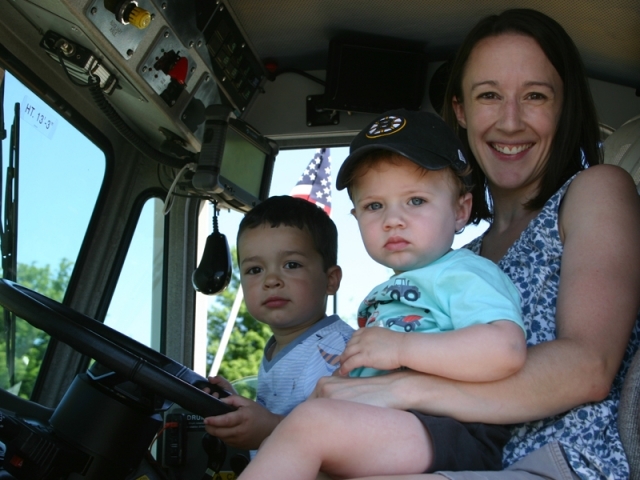 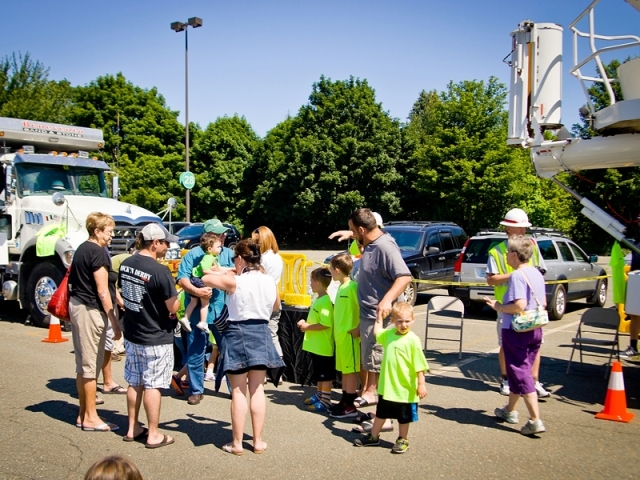 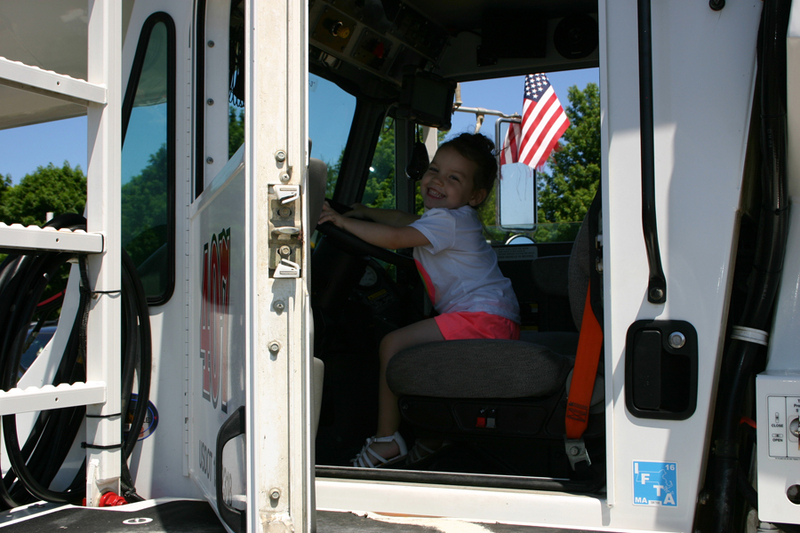 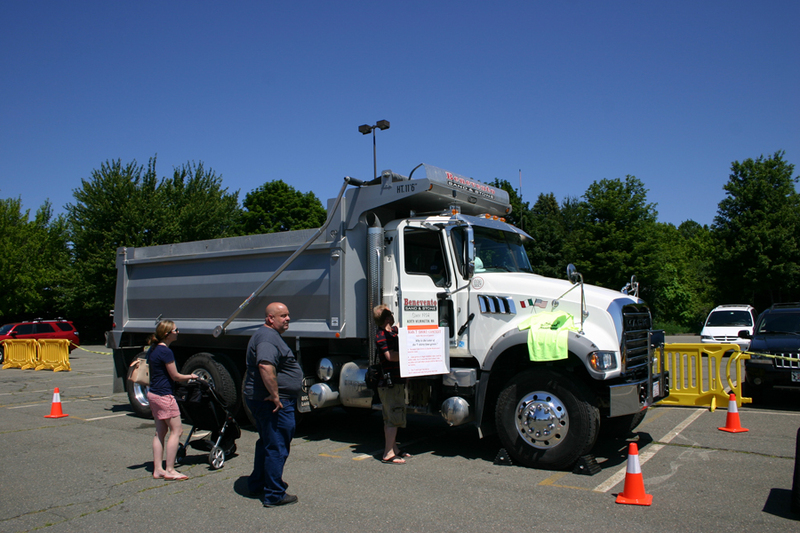 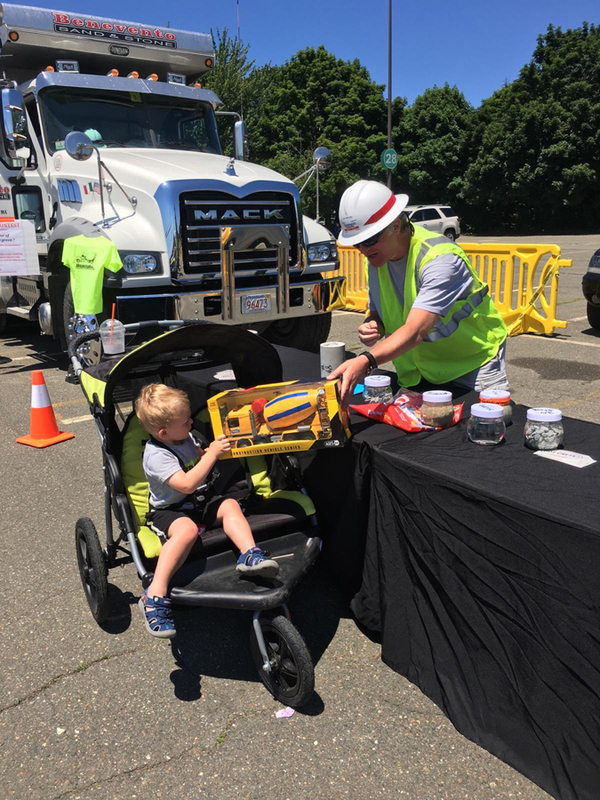 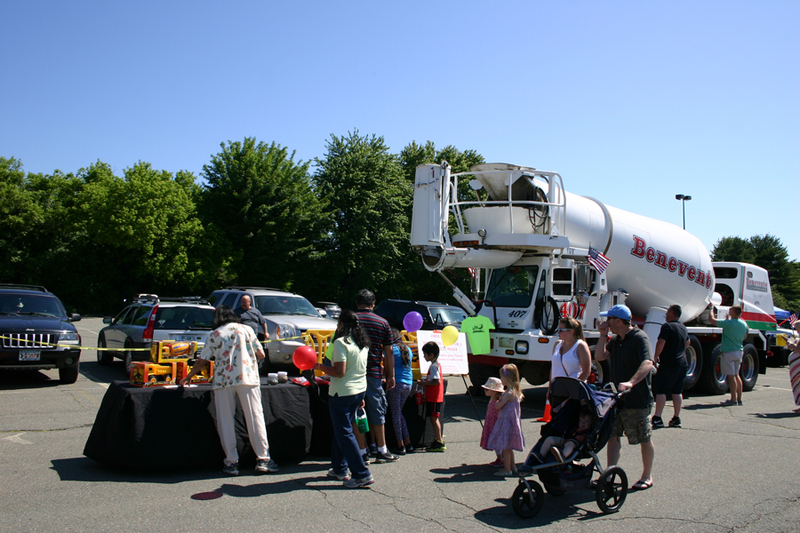 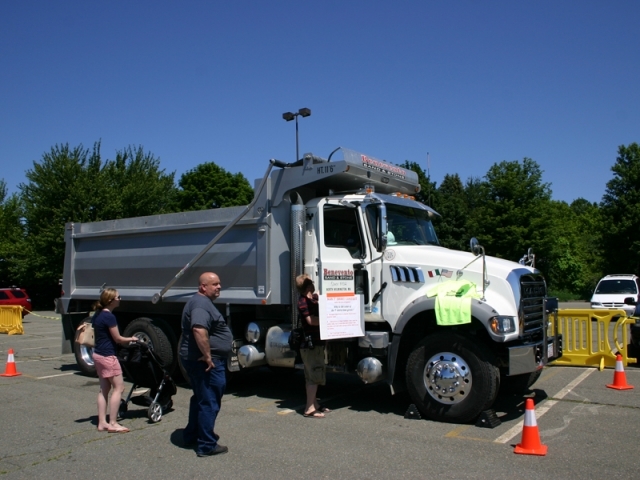 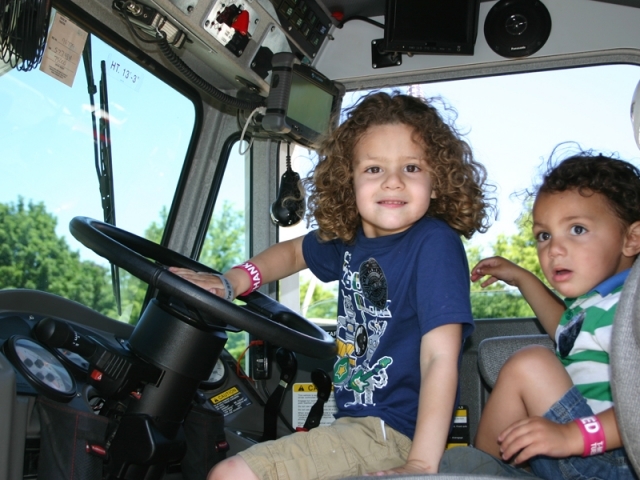 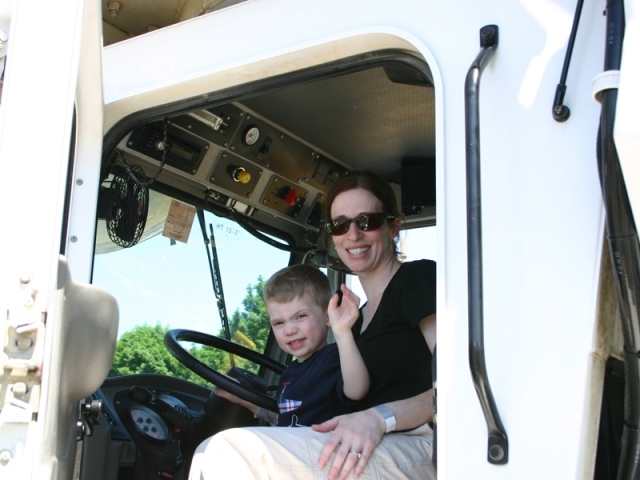 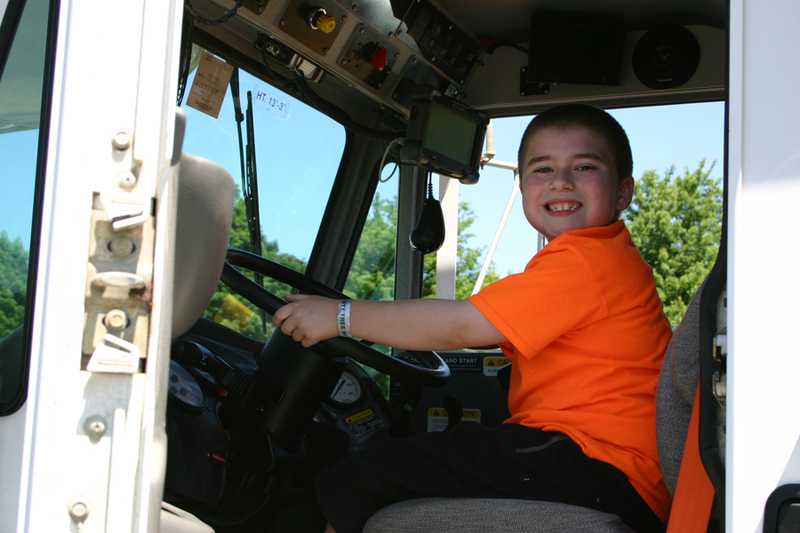 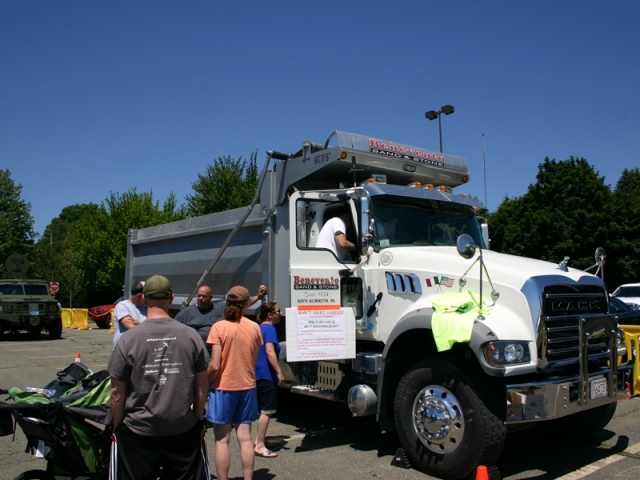 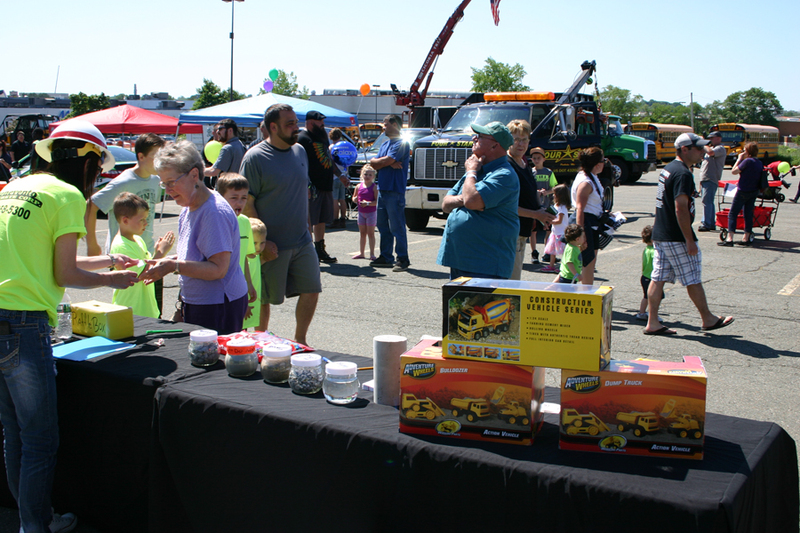 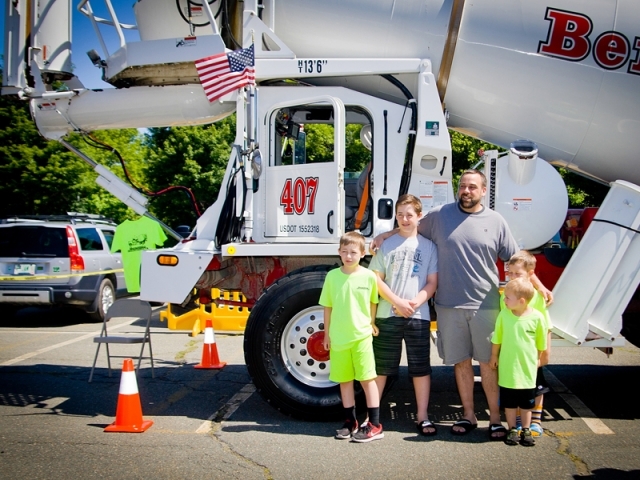 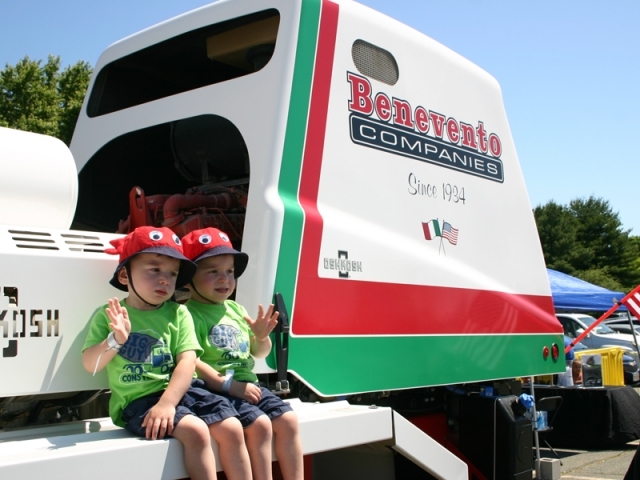 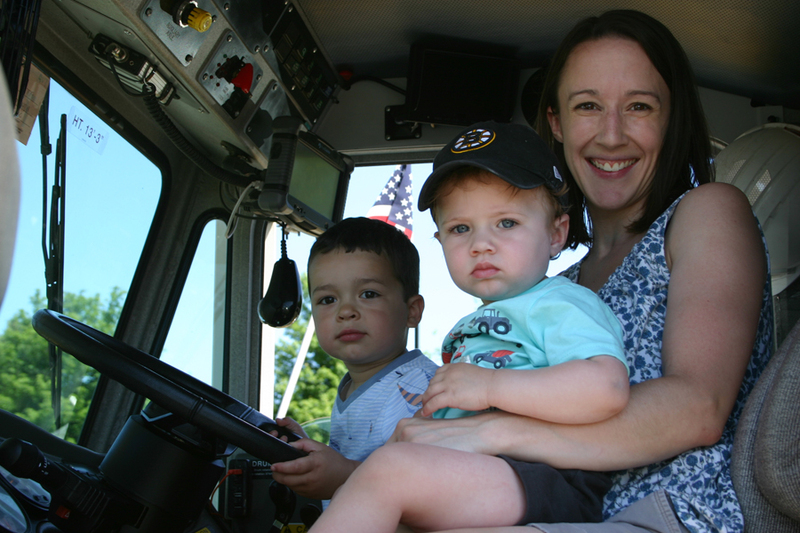 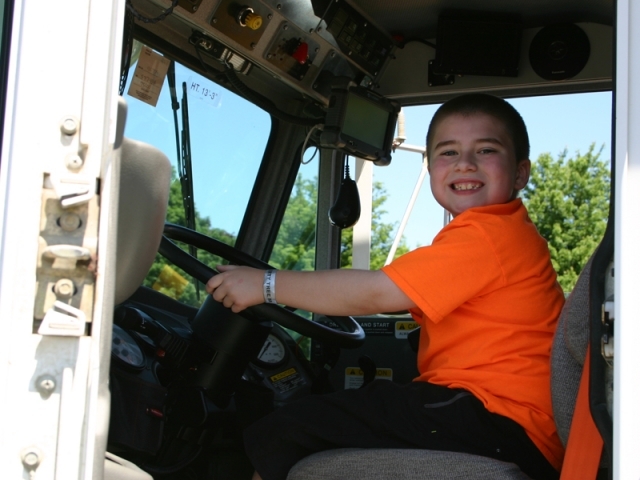 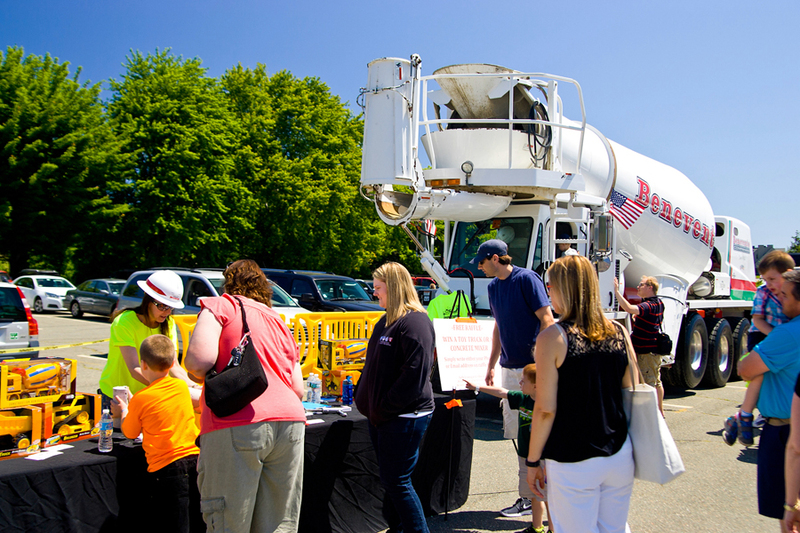 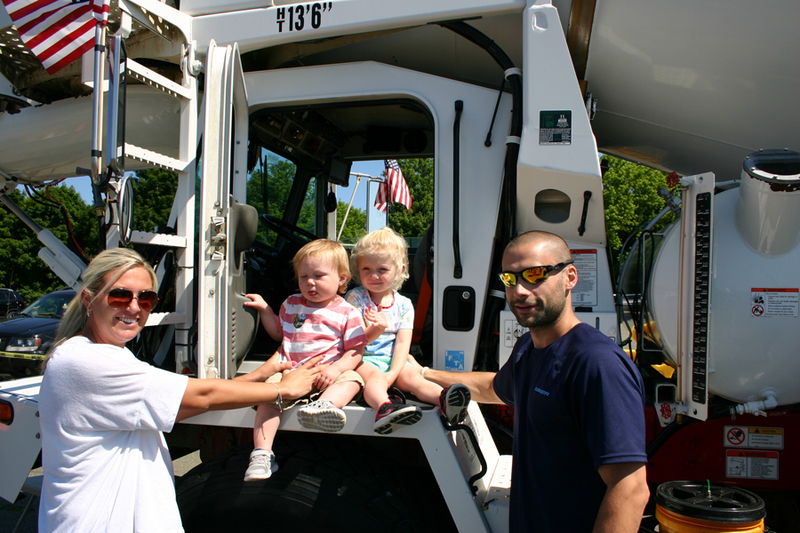 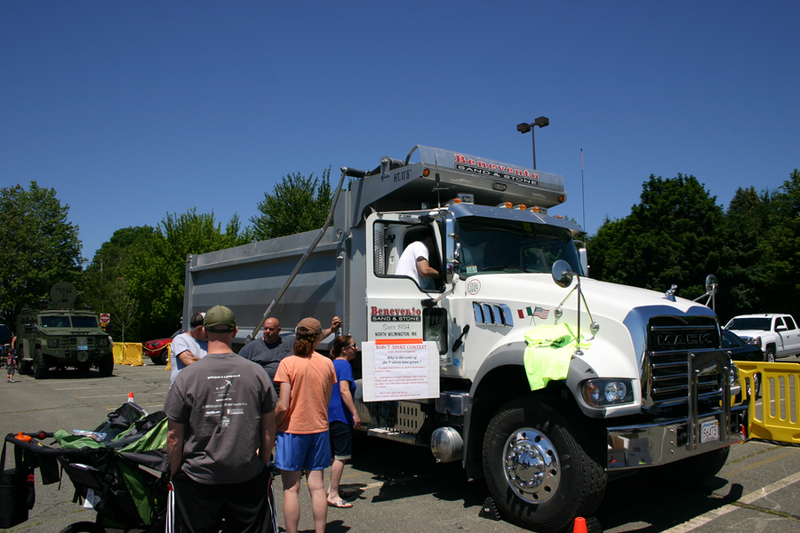 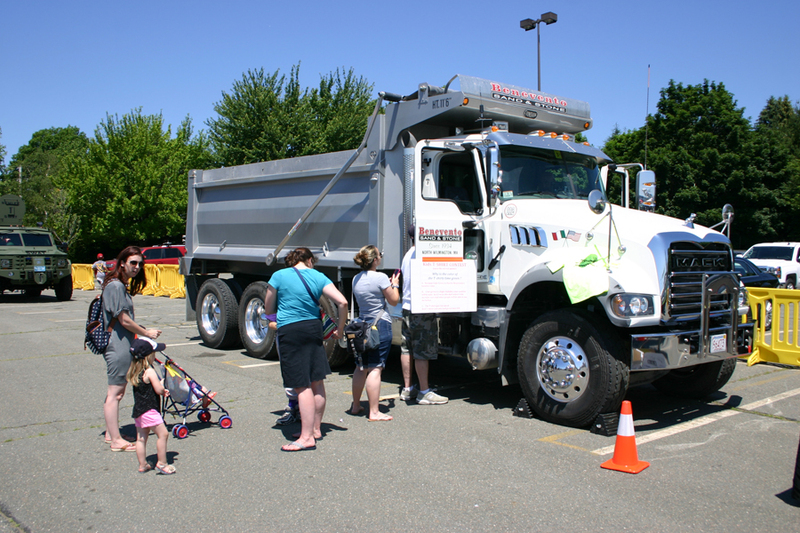 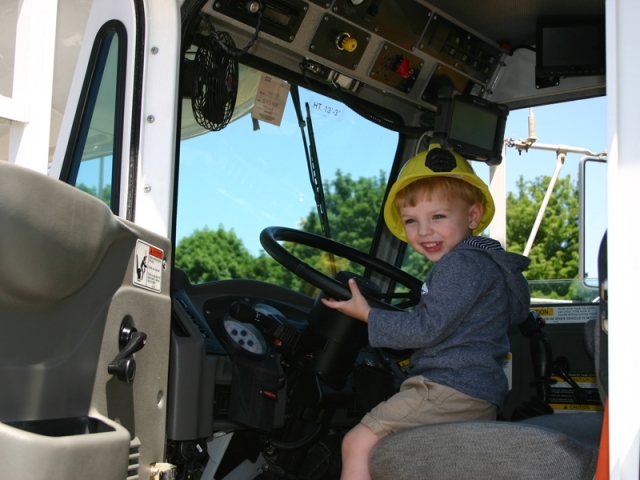 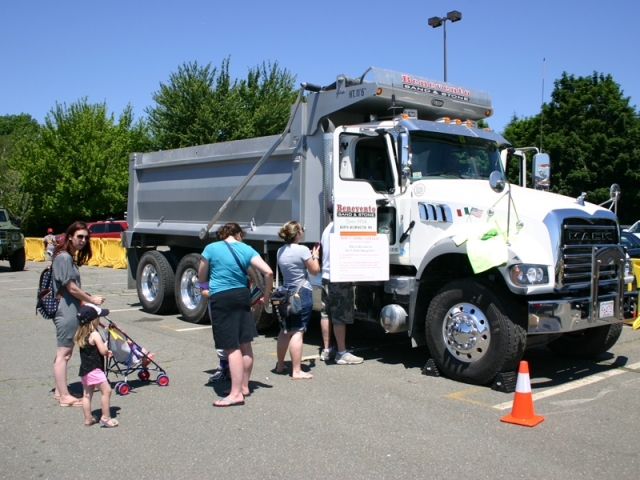 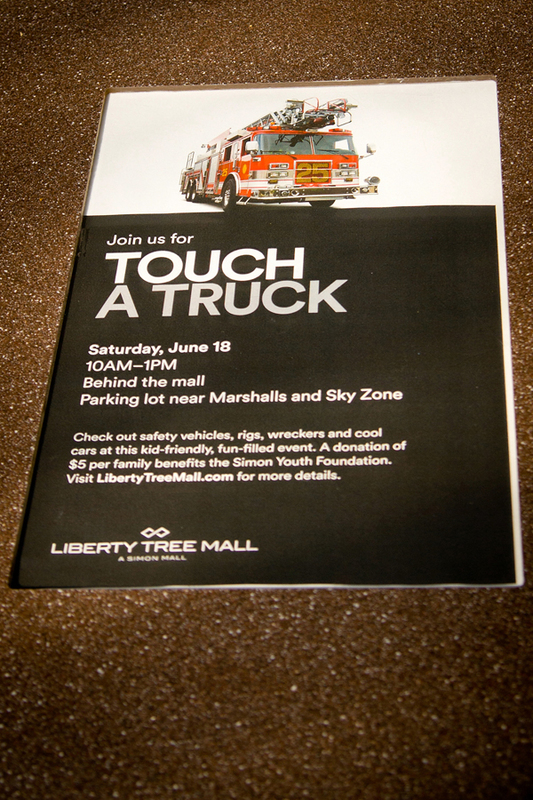 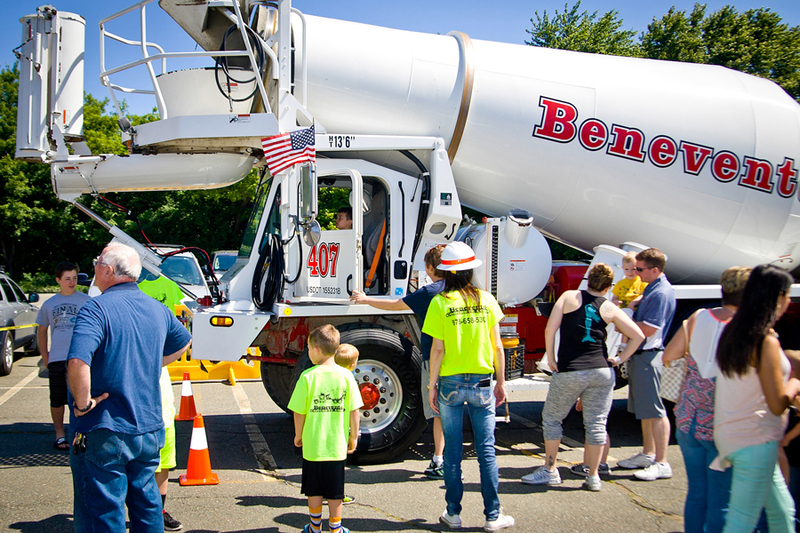 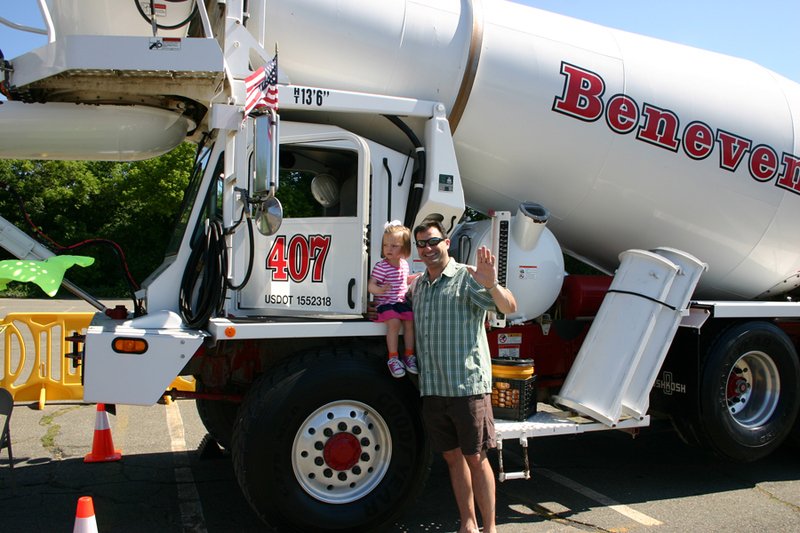 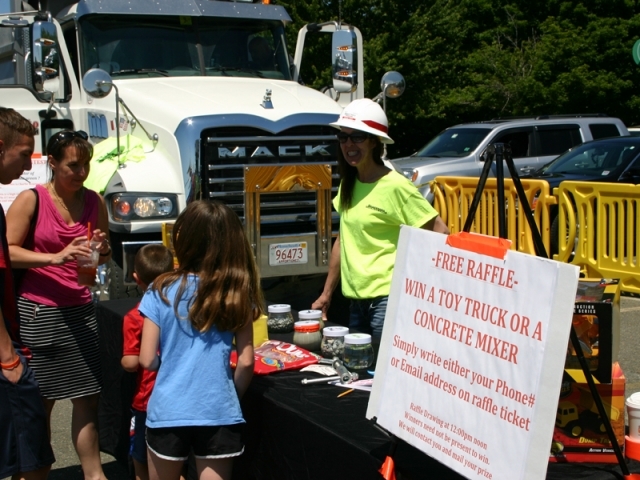 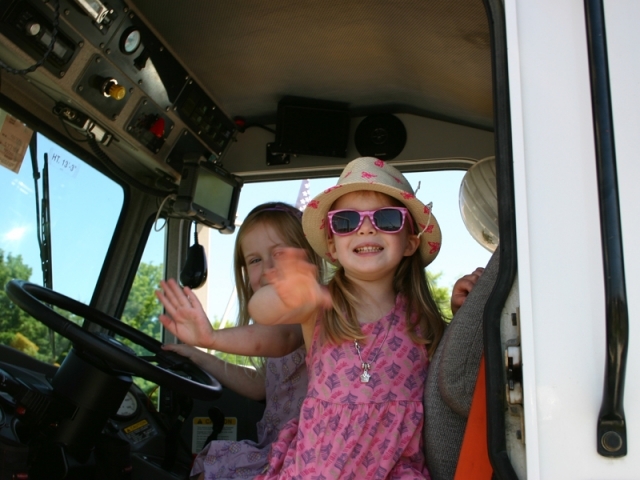 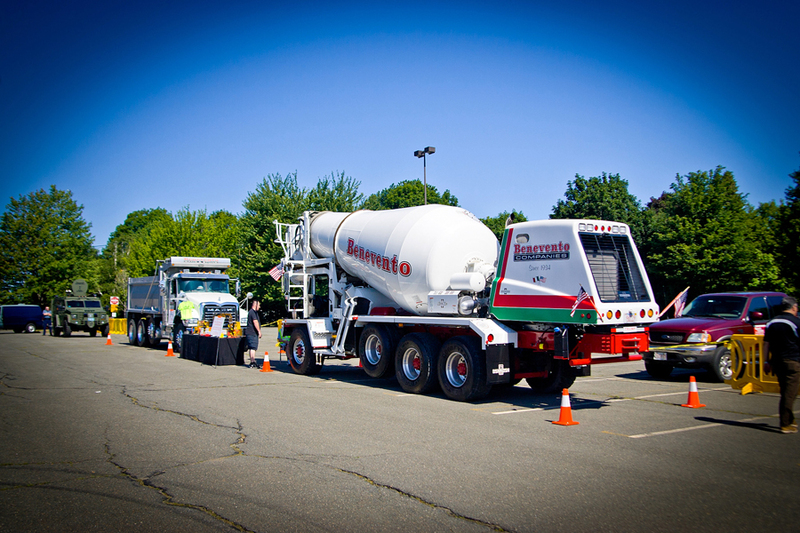 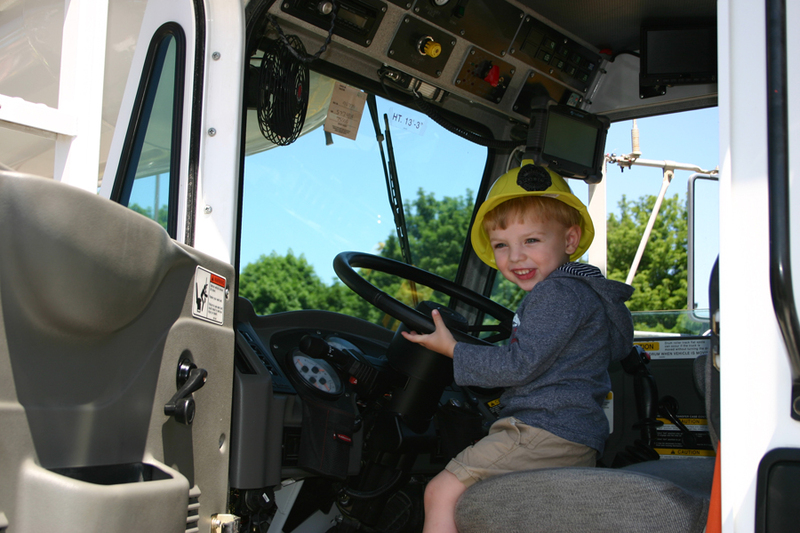 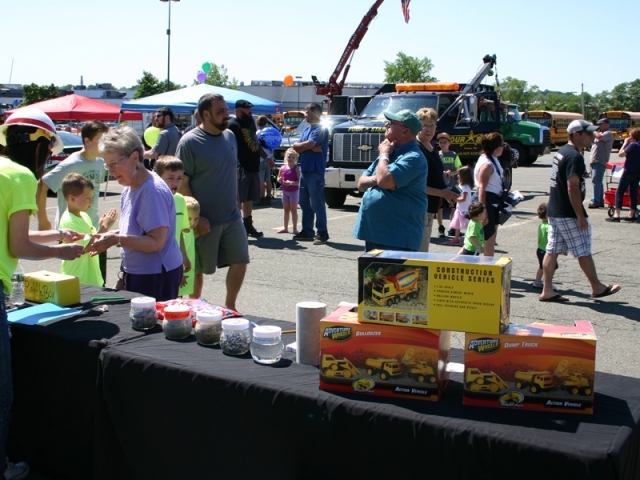 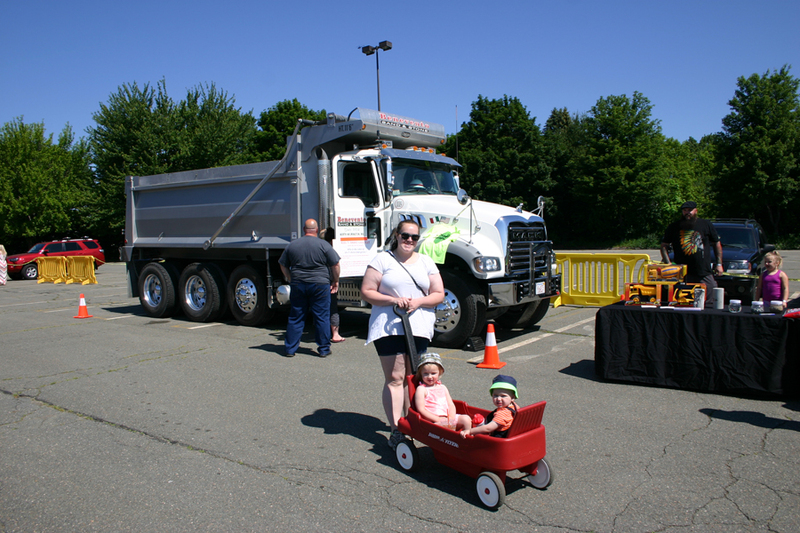 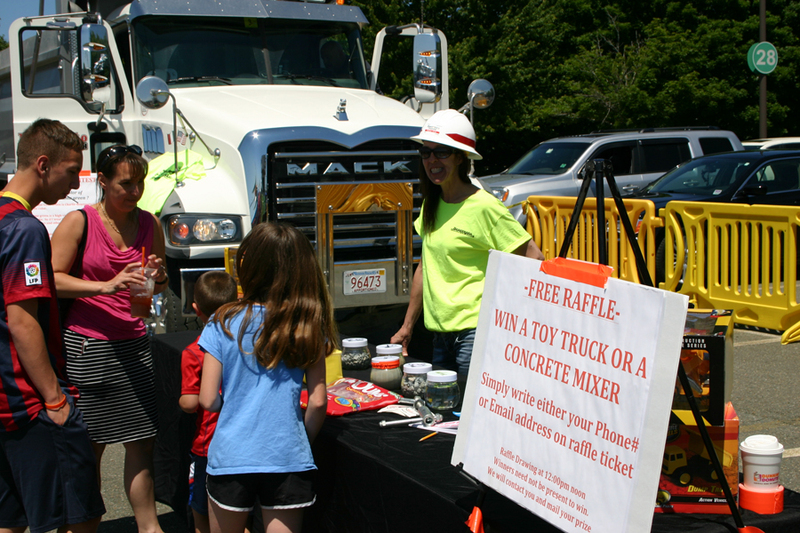 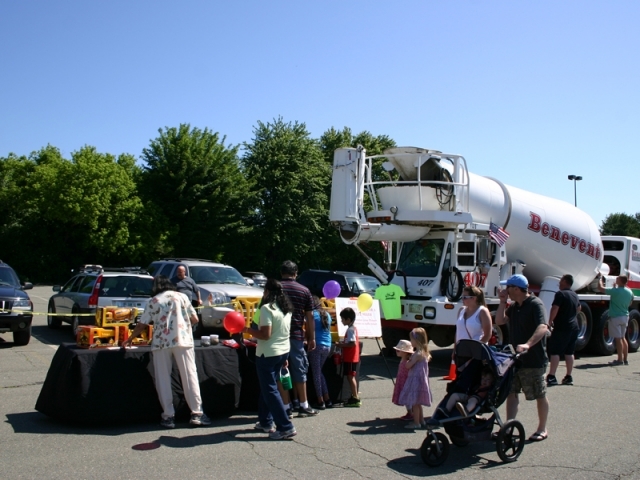 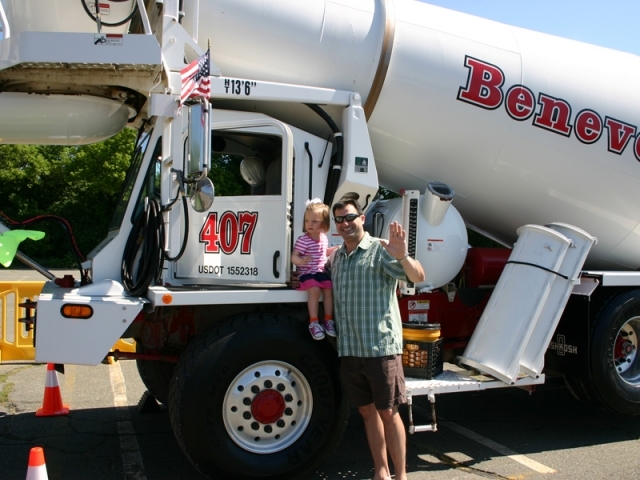 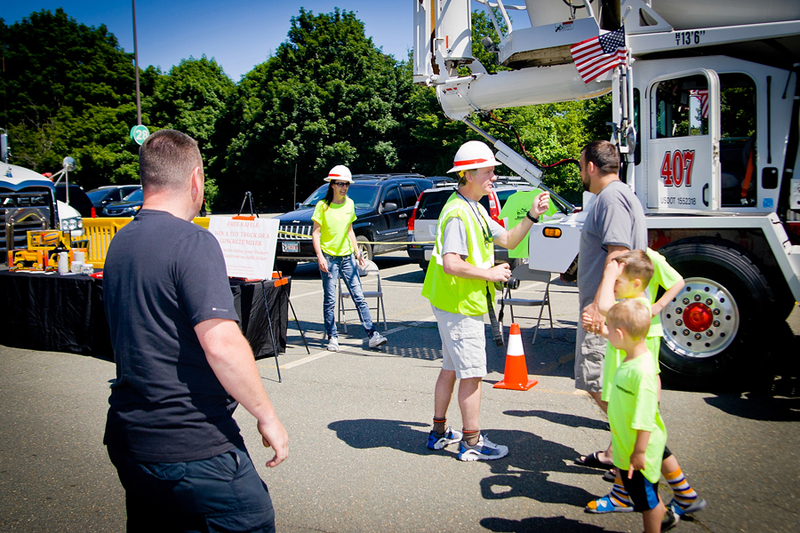 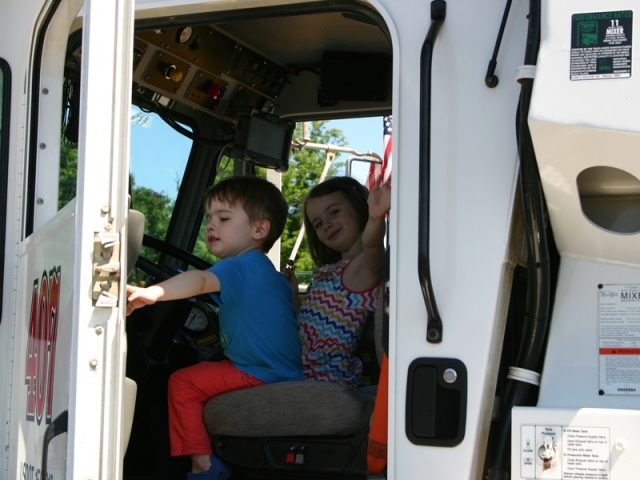 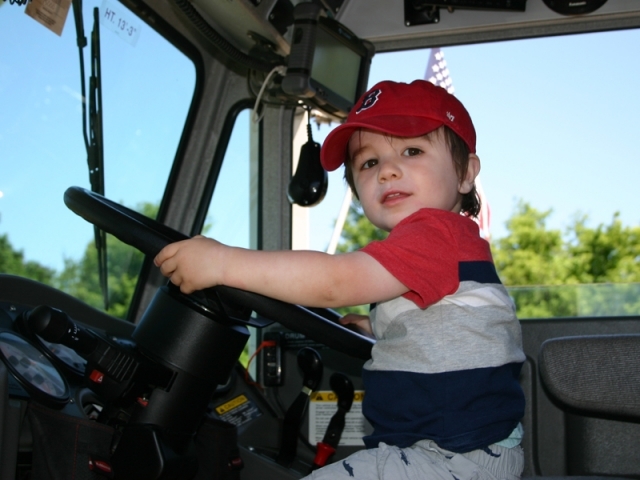 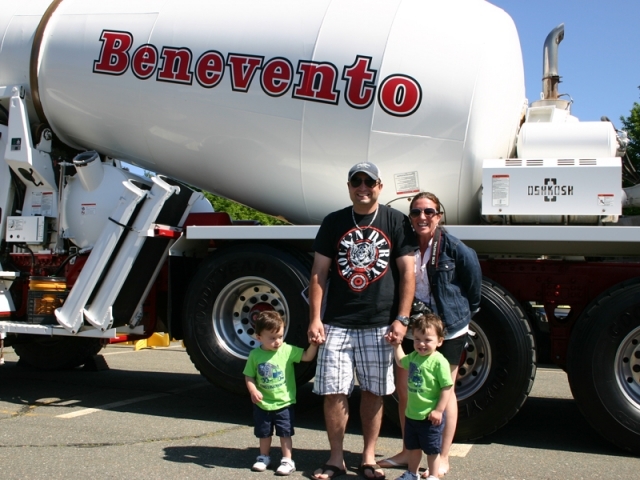 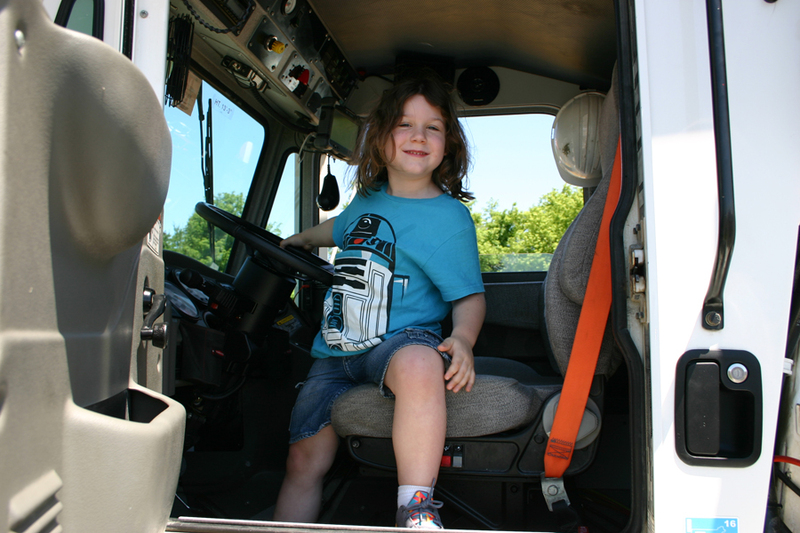 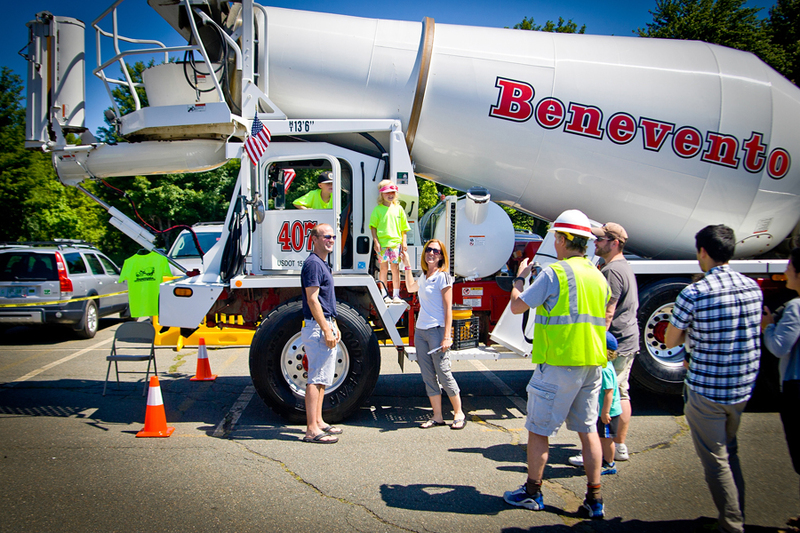 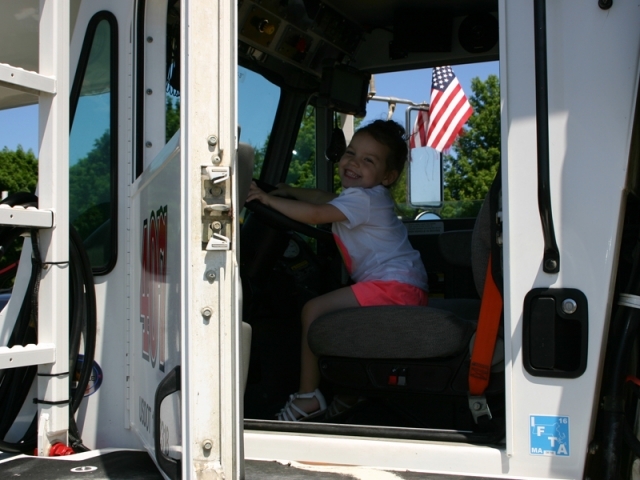 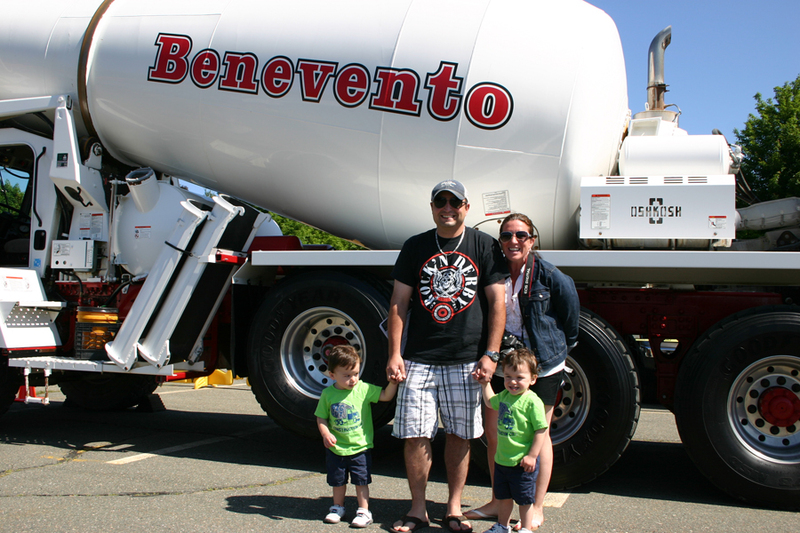 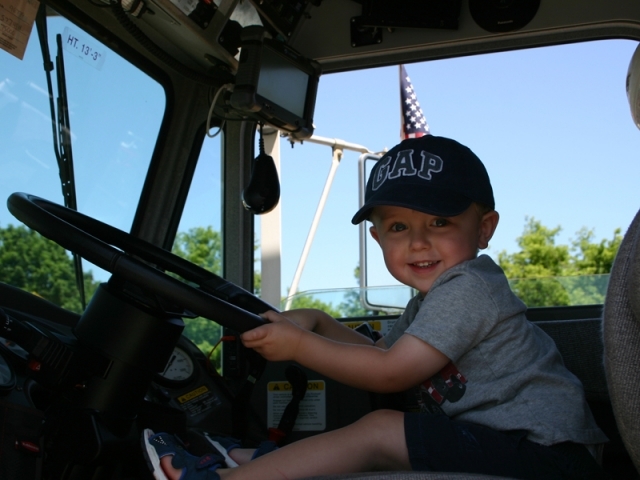 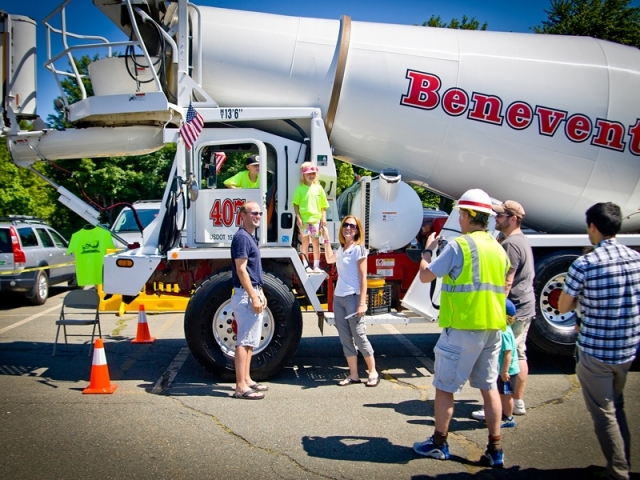 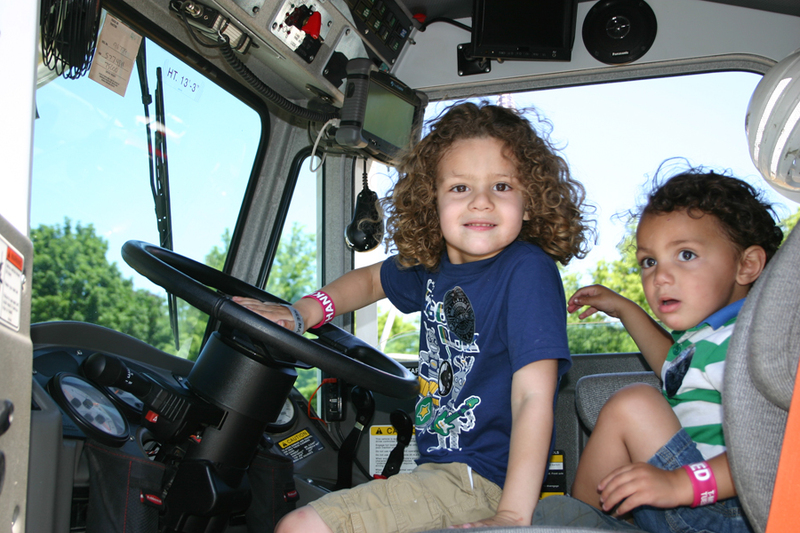 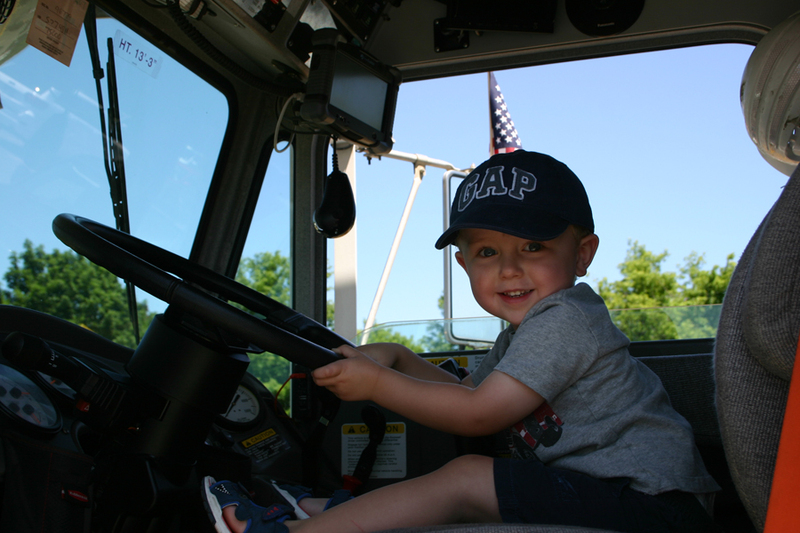 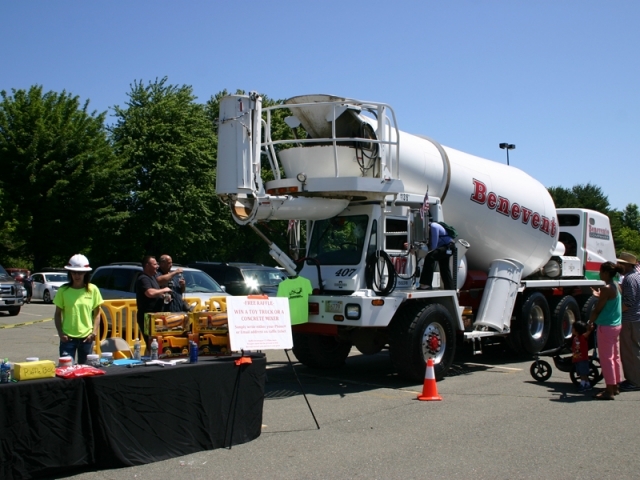 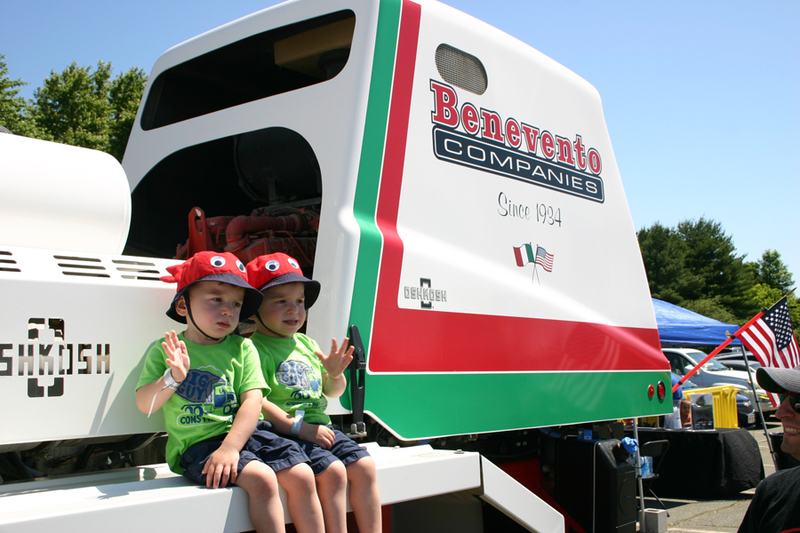 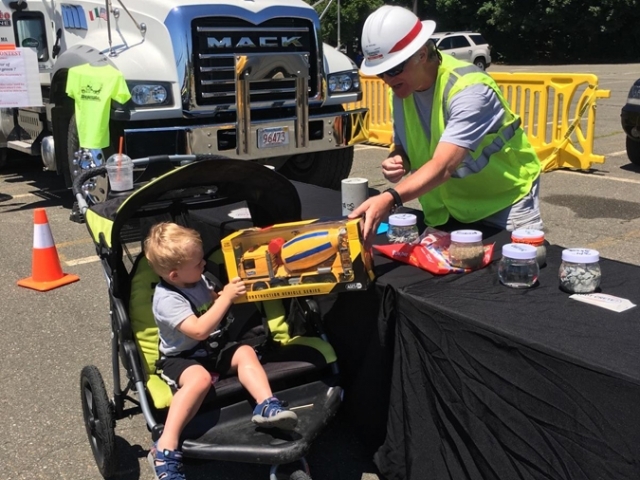 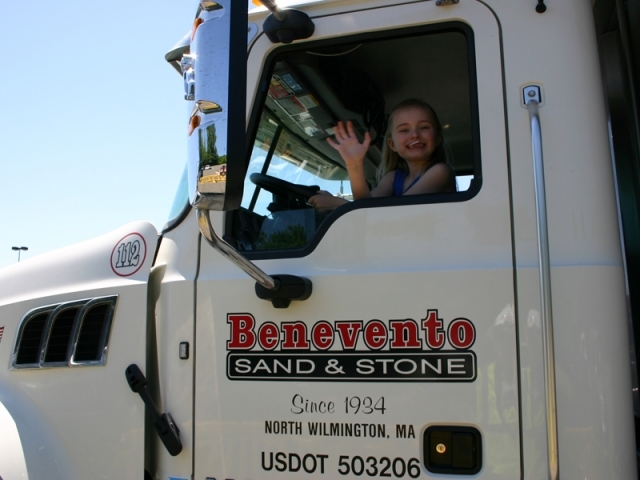 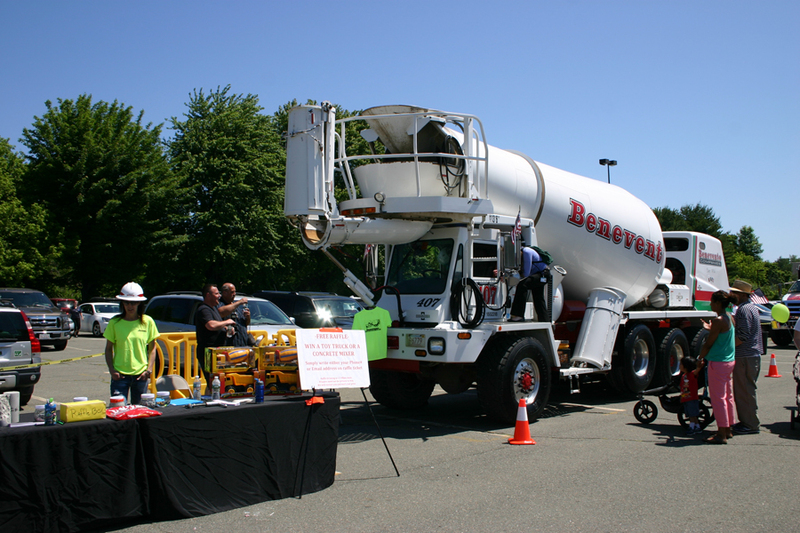 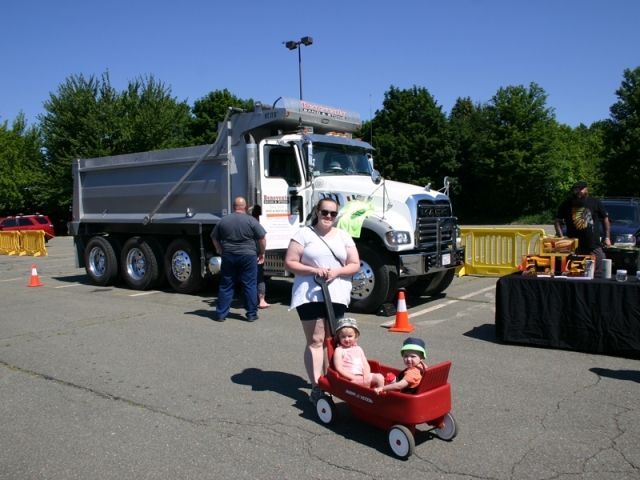 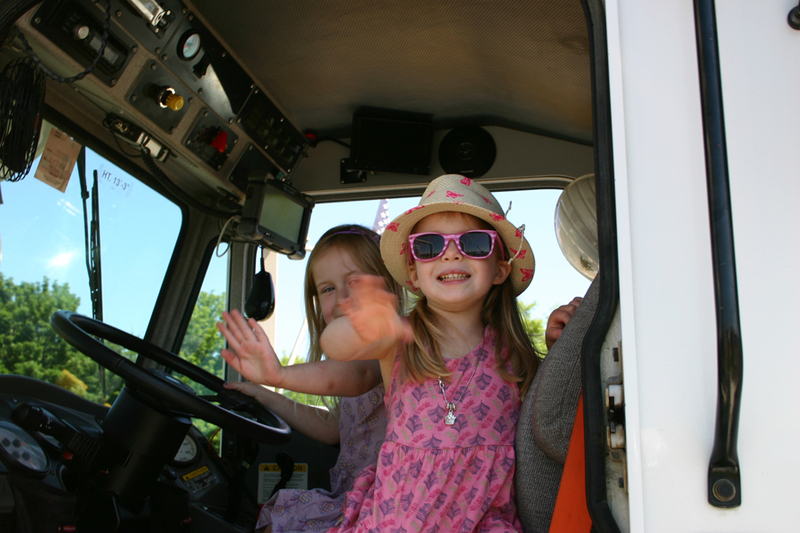 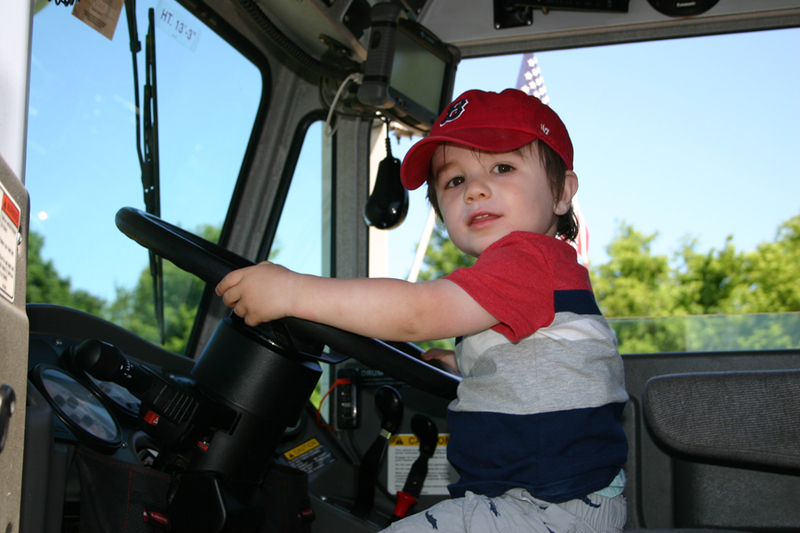 Benevento recently participated in a kids’ Touch A Truck event at the Liberty Tree Mall in Danvers. 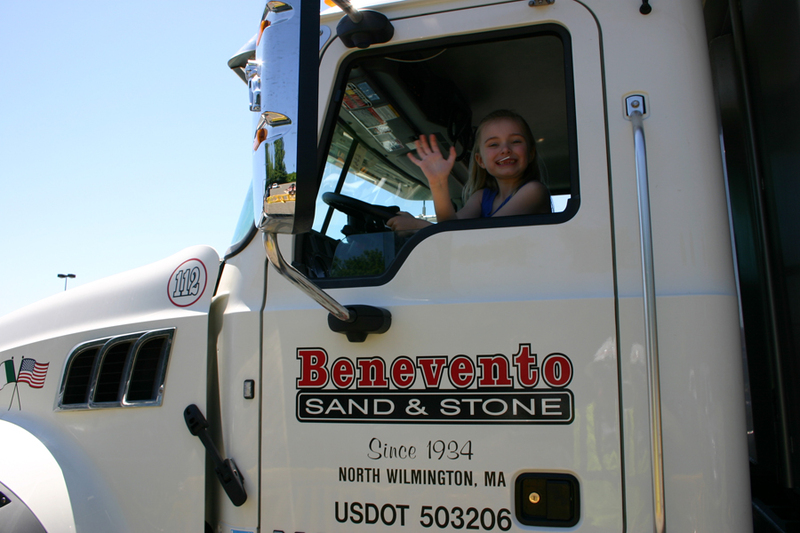 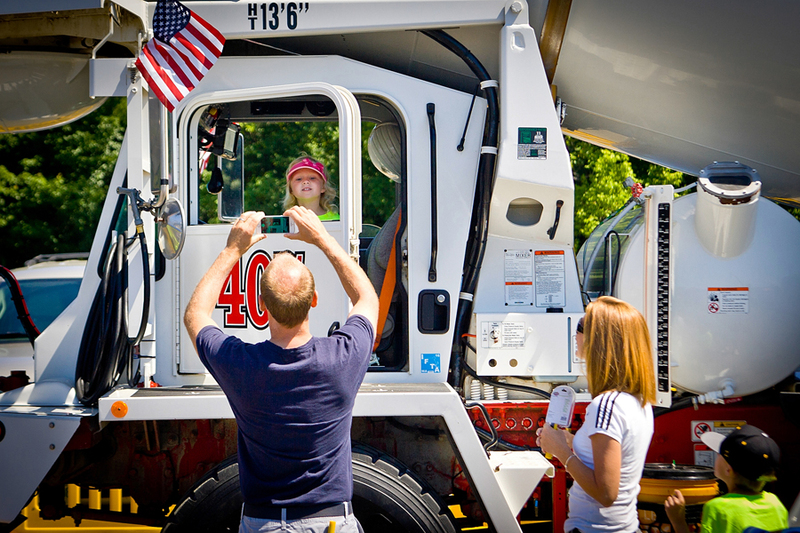 Judging from all of the kids’ happy faces, it was proven once again that little kids + BIG TRUCKS = HUGE SMILES ! 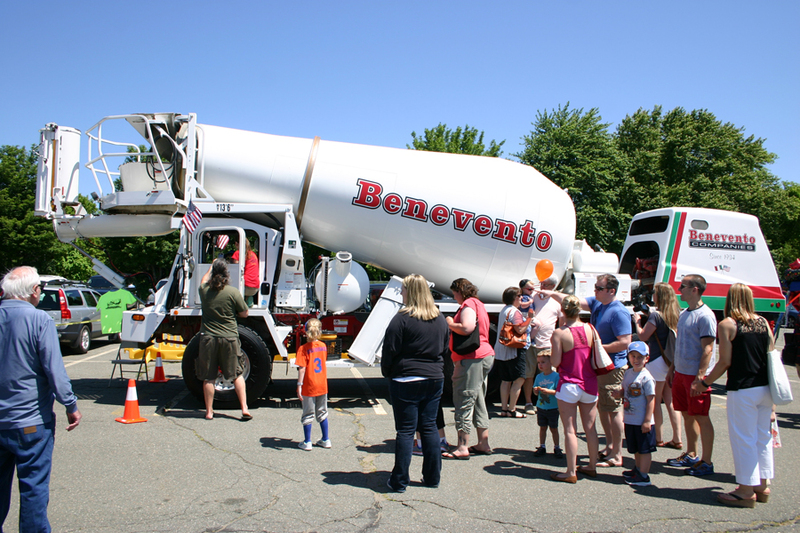 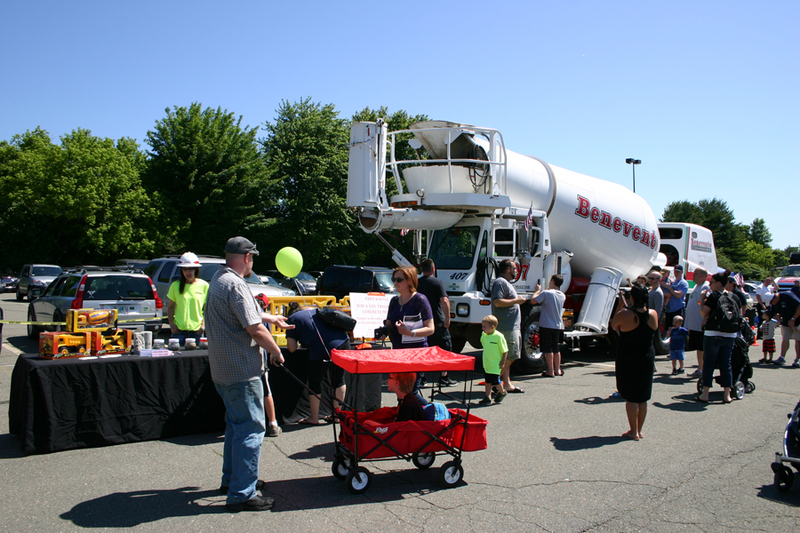 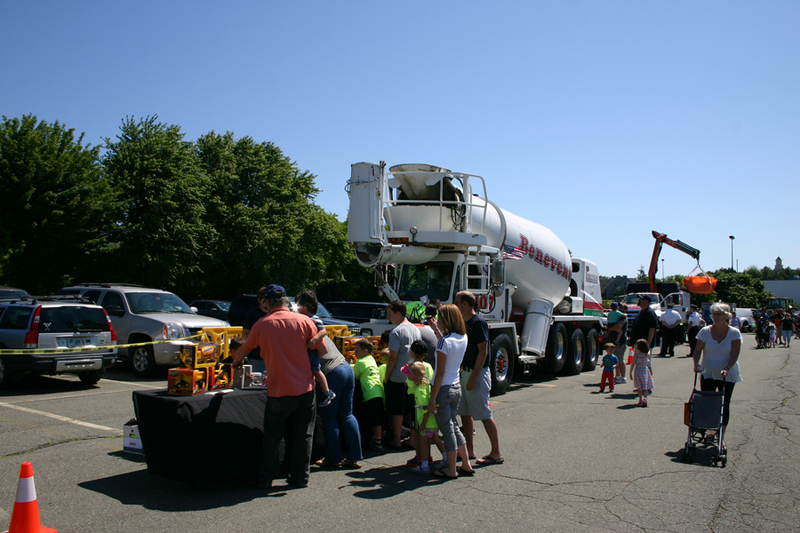 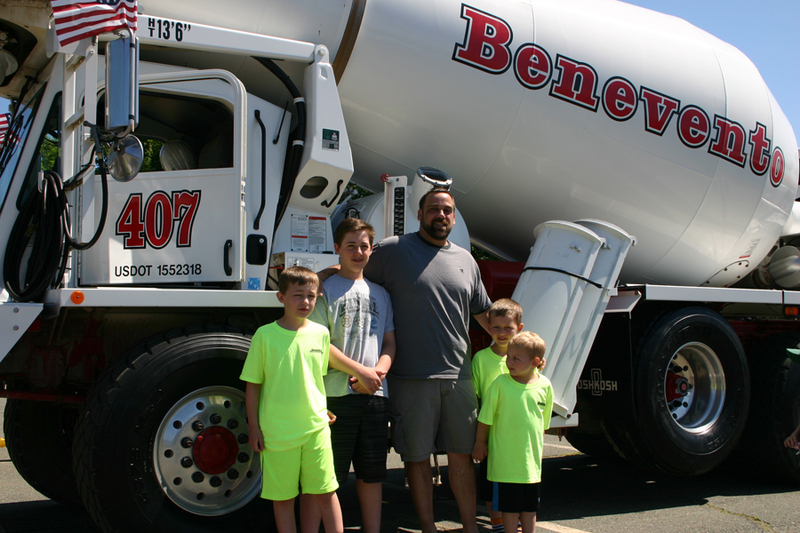 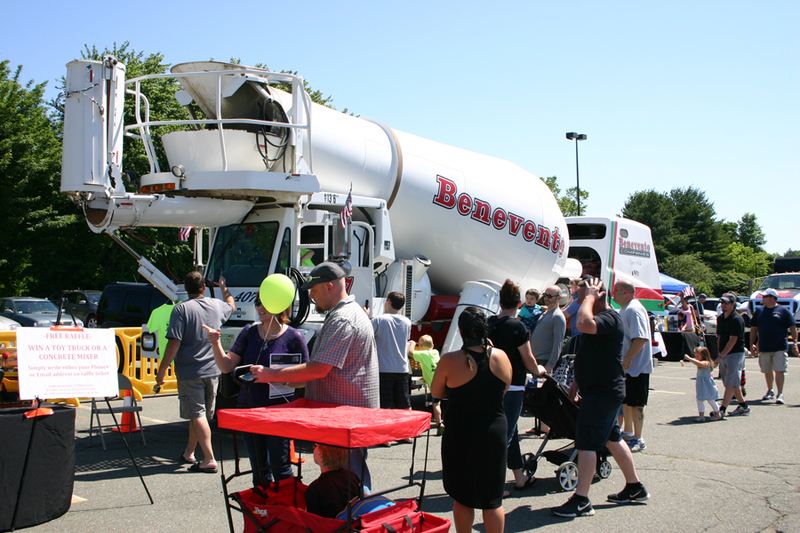 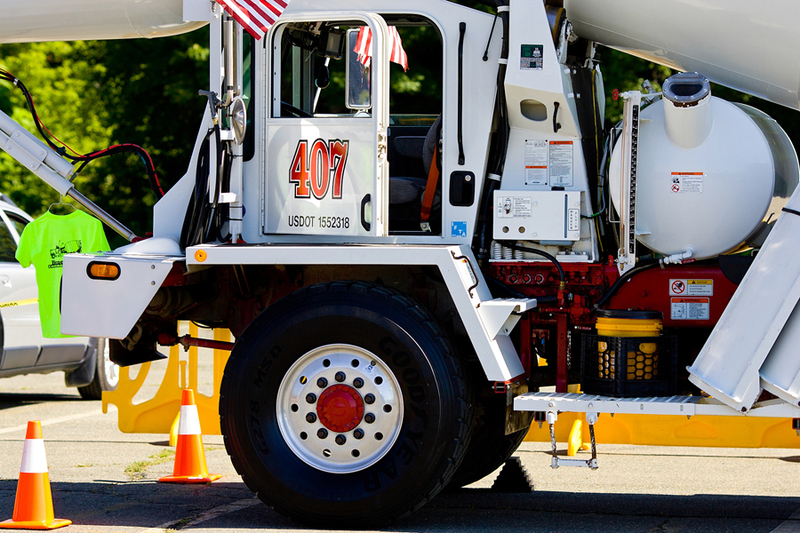 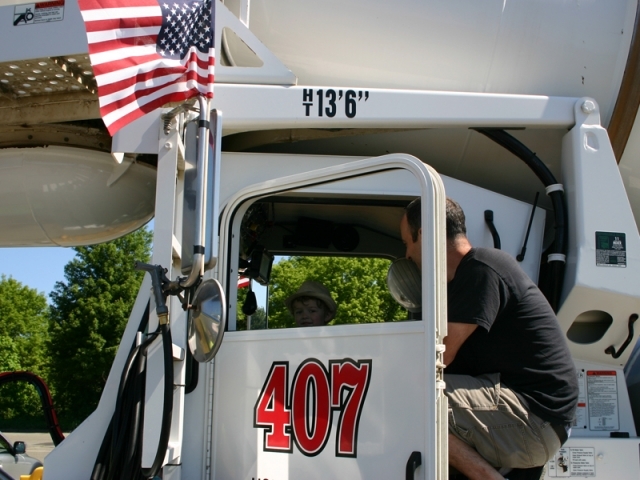 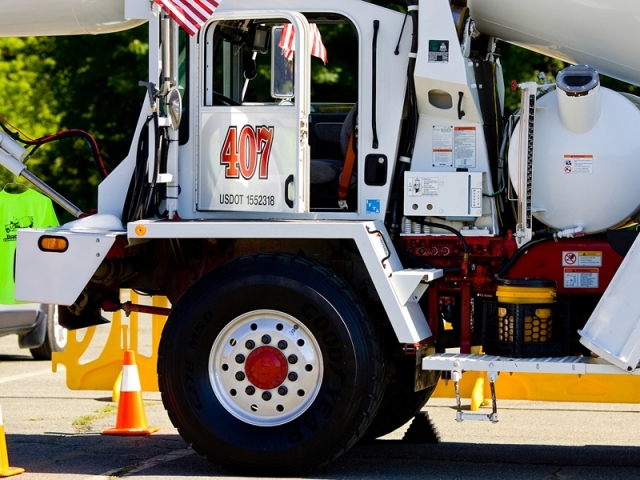 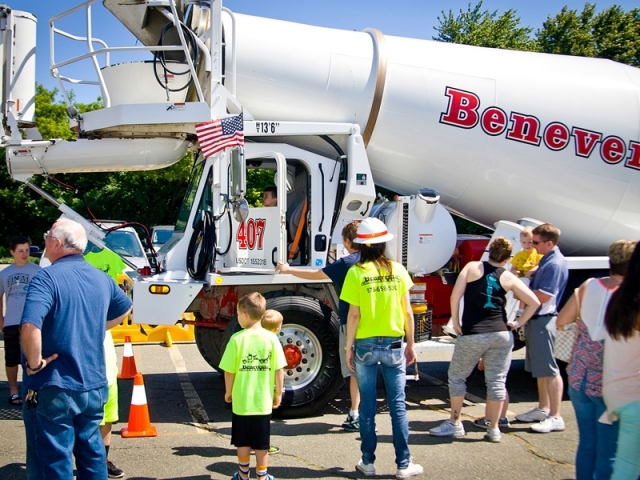 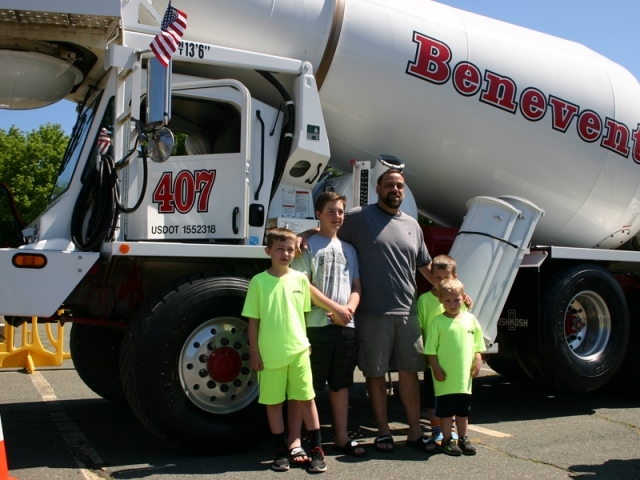 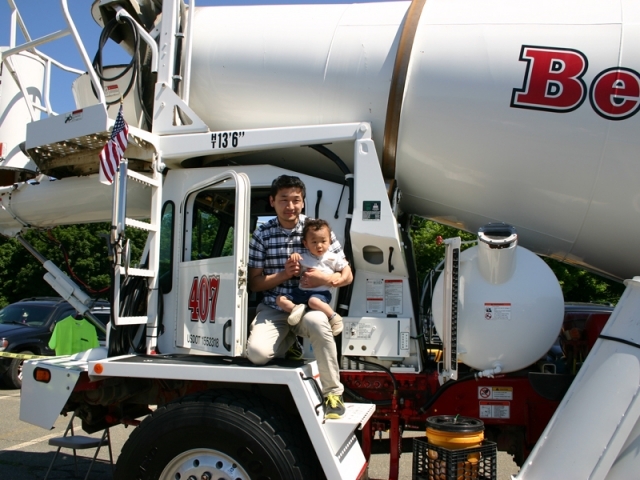 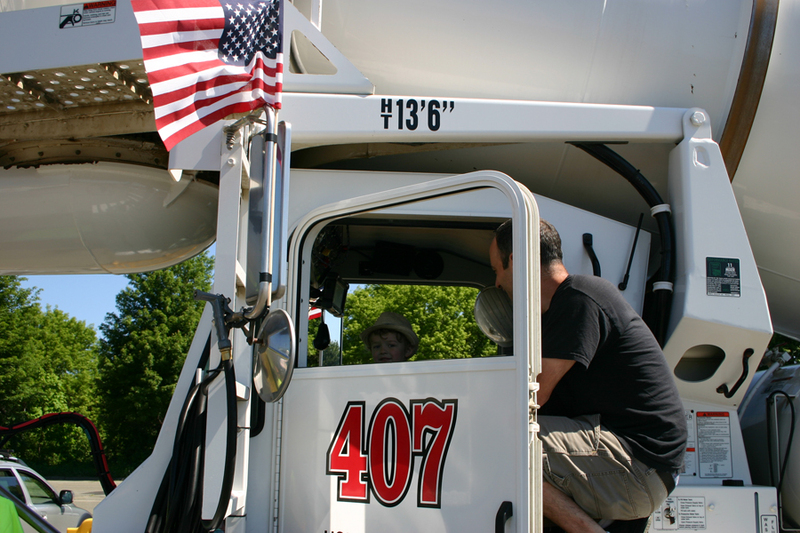 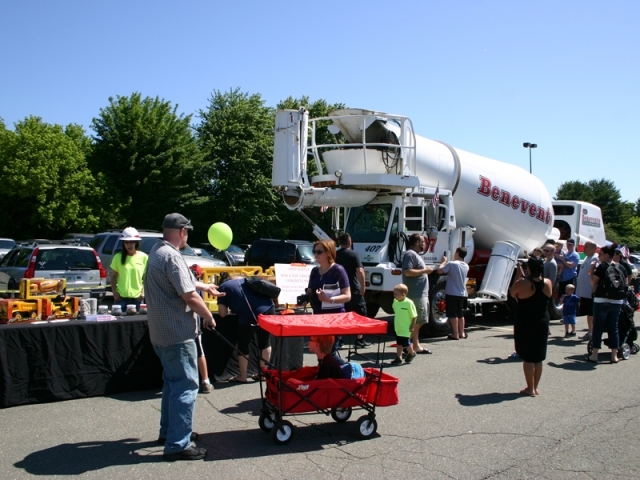 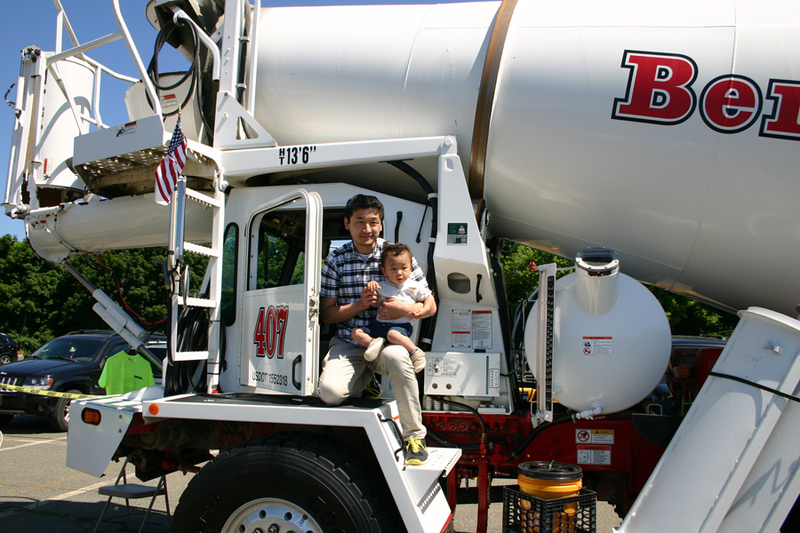 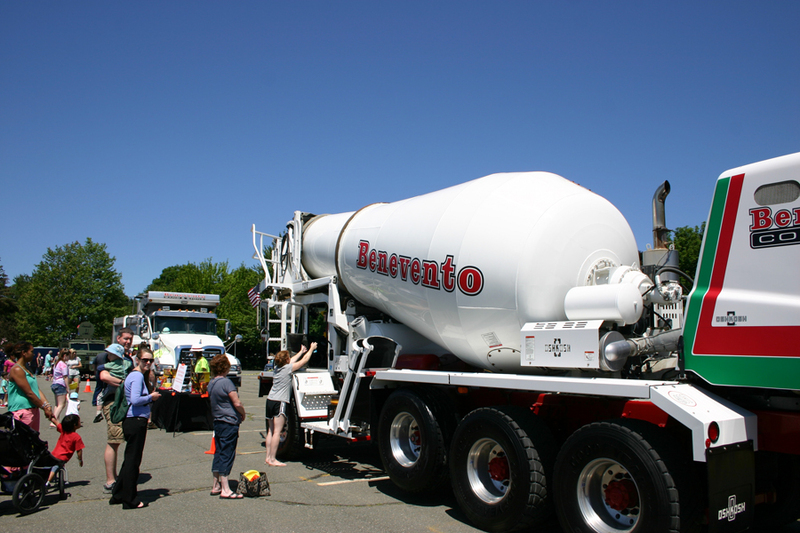 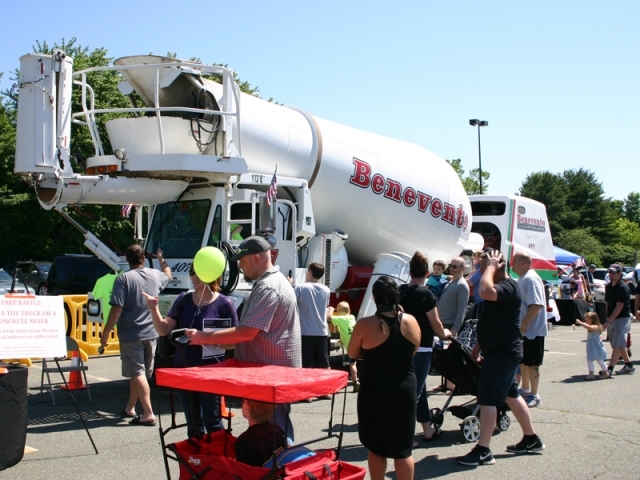 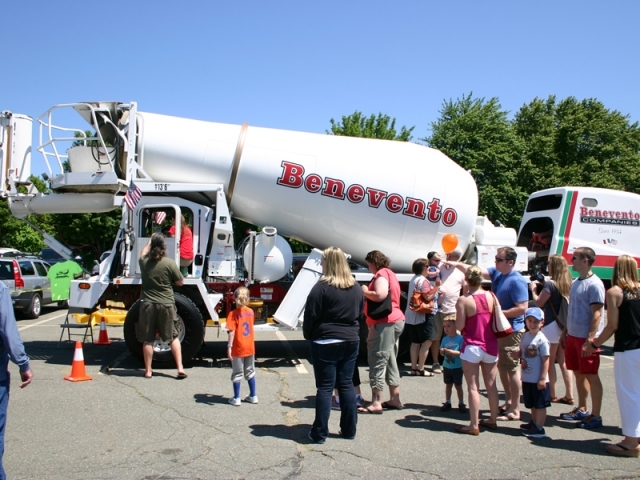 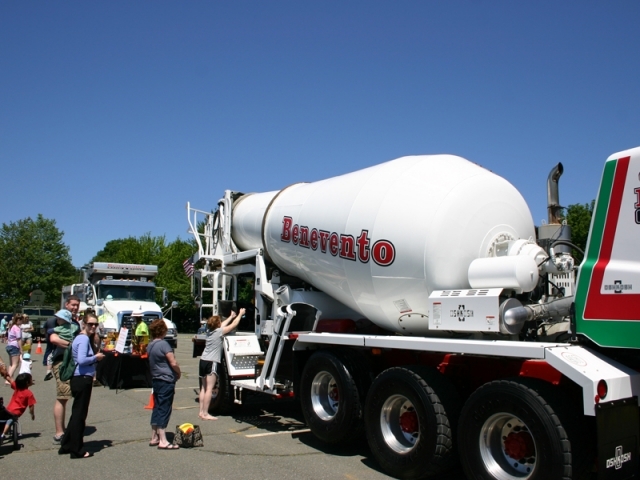 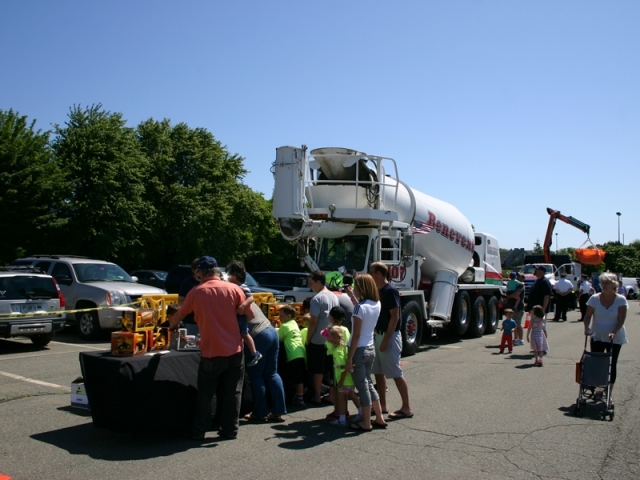 Benevento brought a new OshKosh Concrete Mixer and also a Mack Dump Truck. 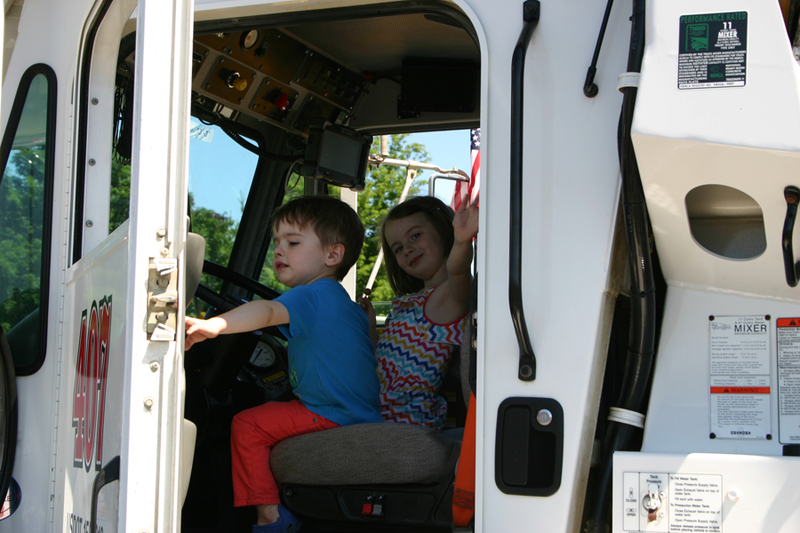 Kids were allowed to climb into the cabs of the trucks (with their parents’ assistance of course) and practice “steering” the truck and of course honking the horn. 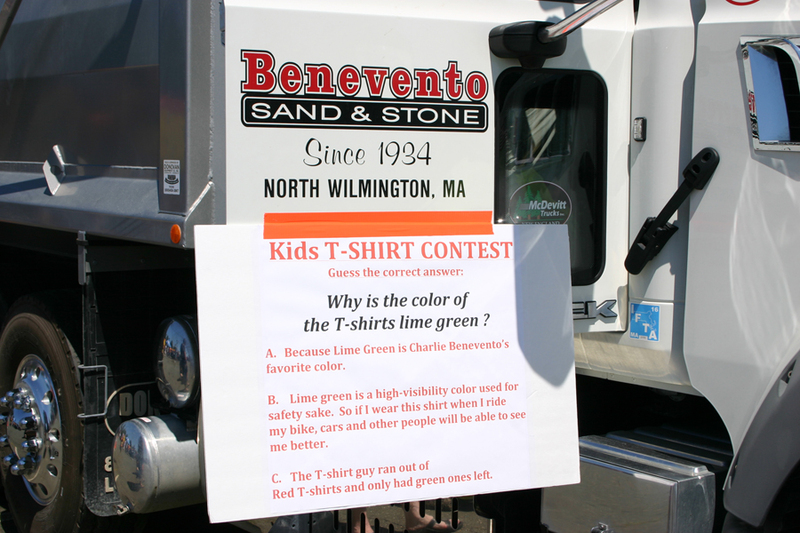 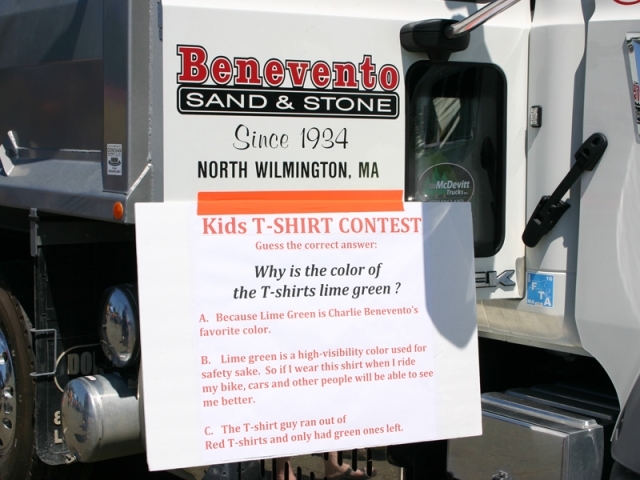 There was a T-shirt Quiz and we also raffled off seven toy trucks at the end of the event. 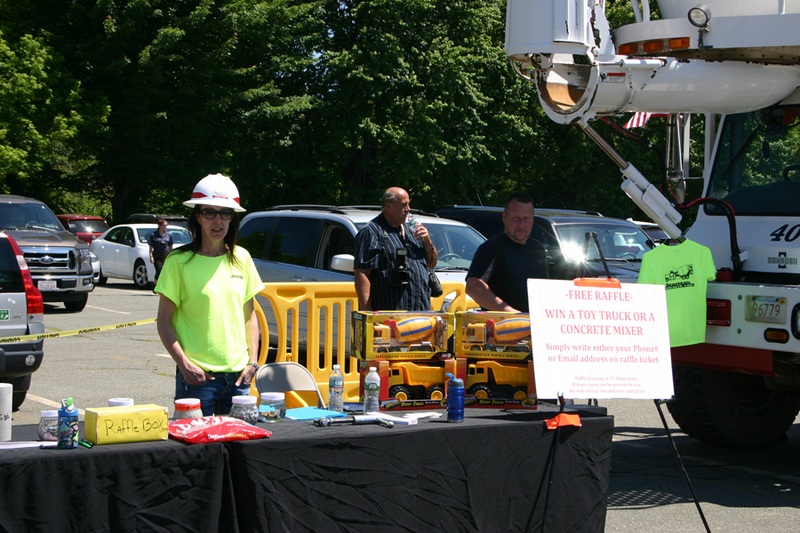 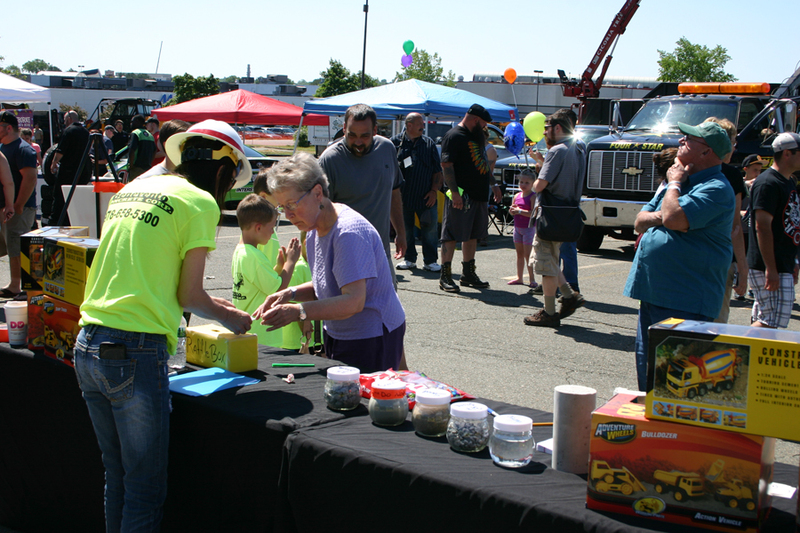 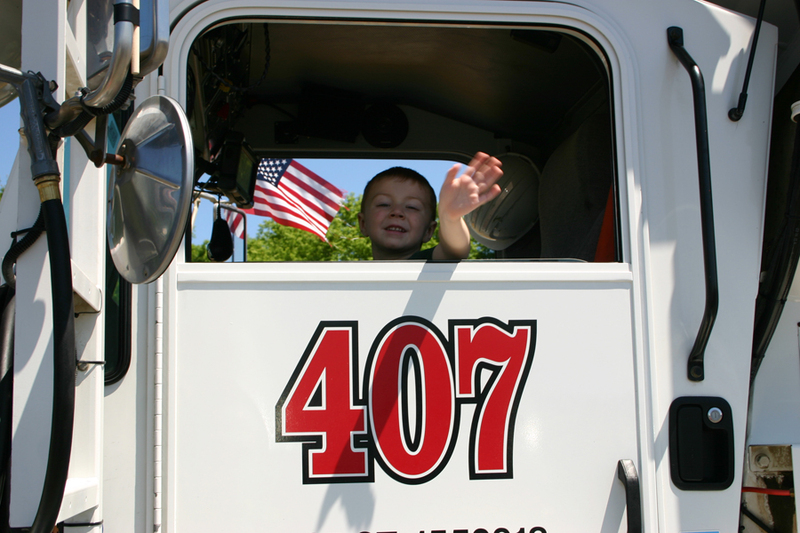 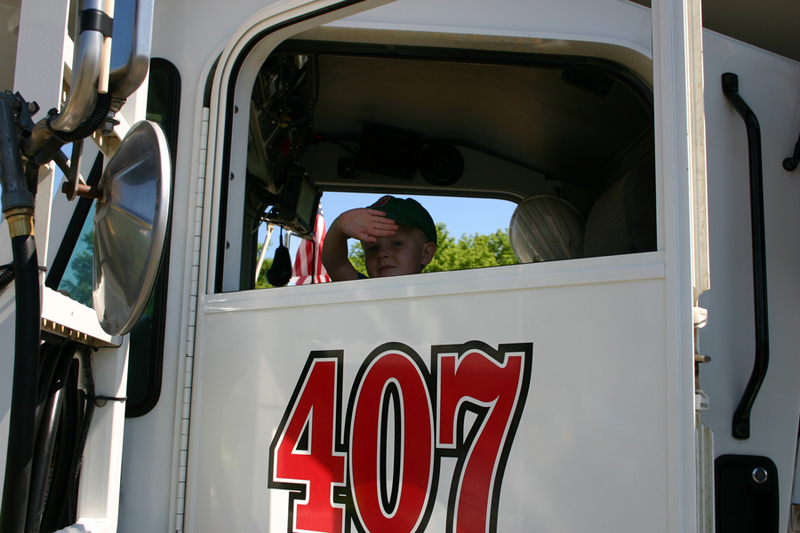 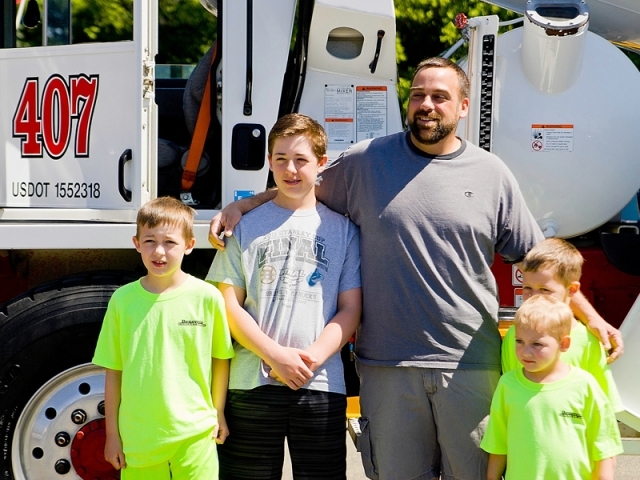 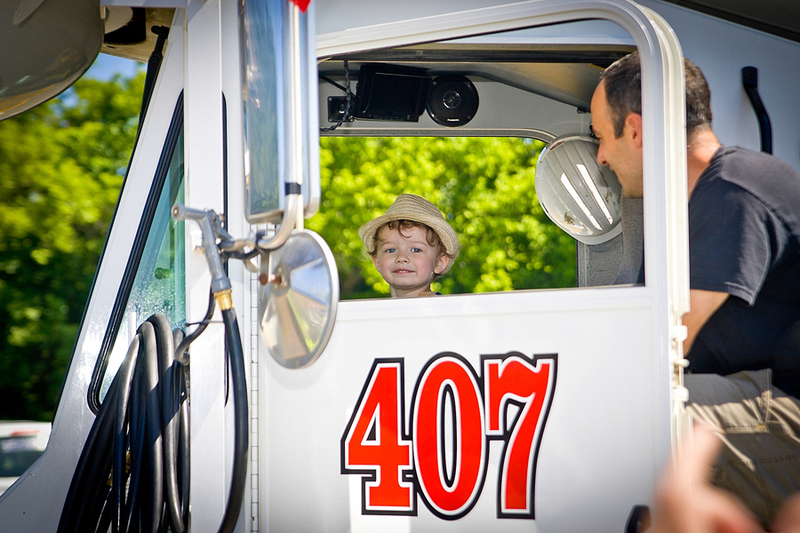 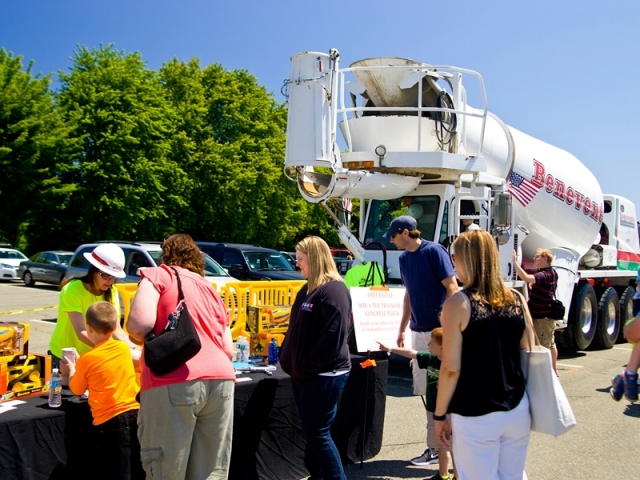 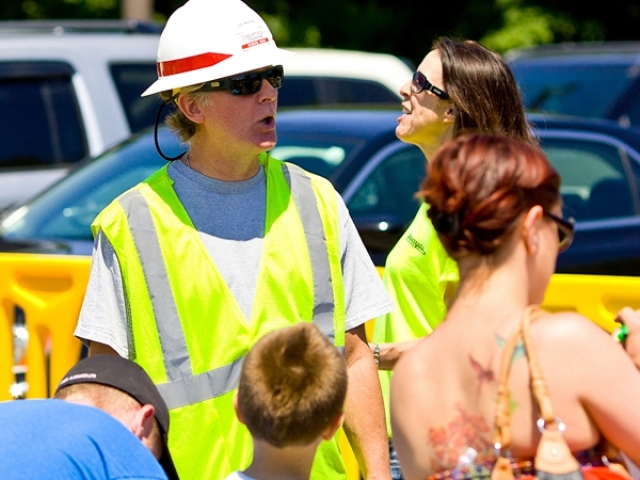 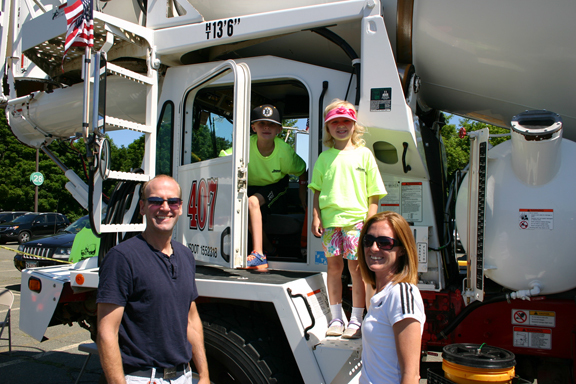 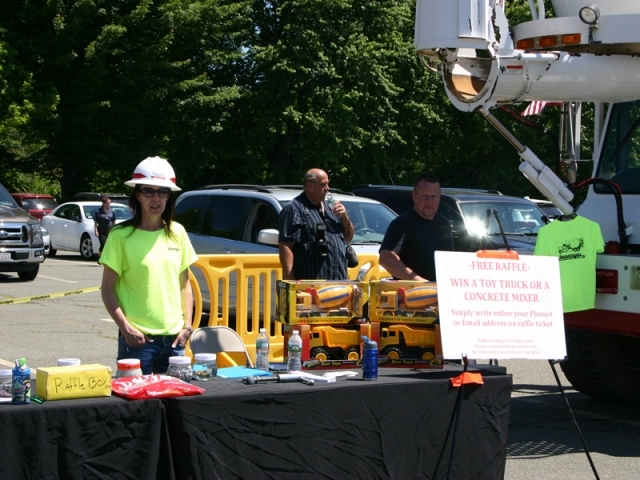 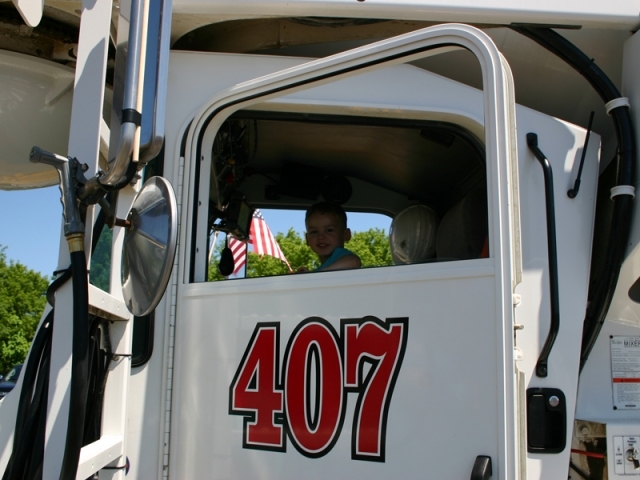 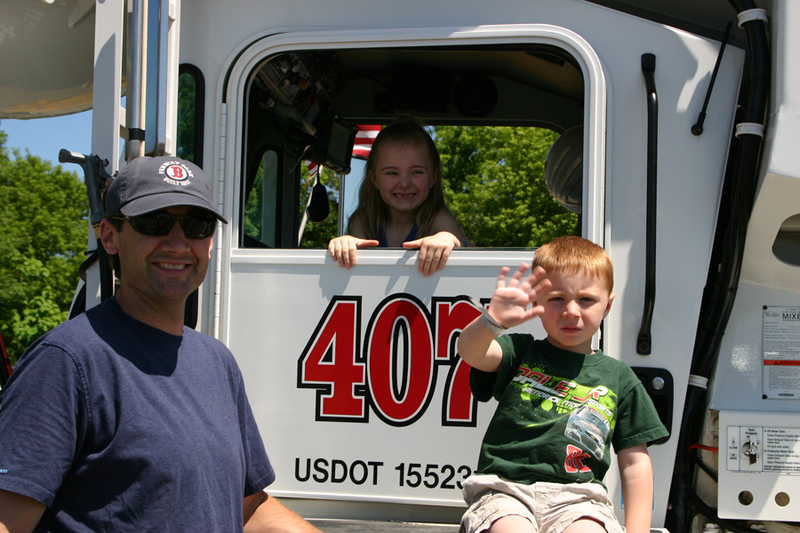 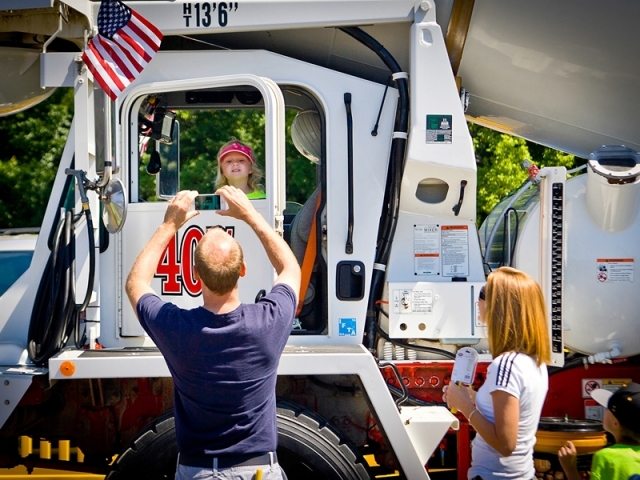 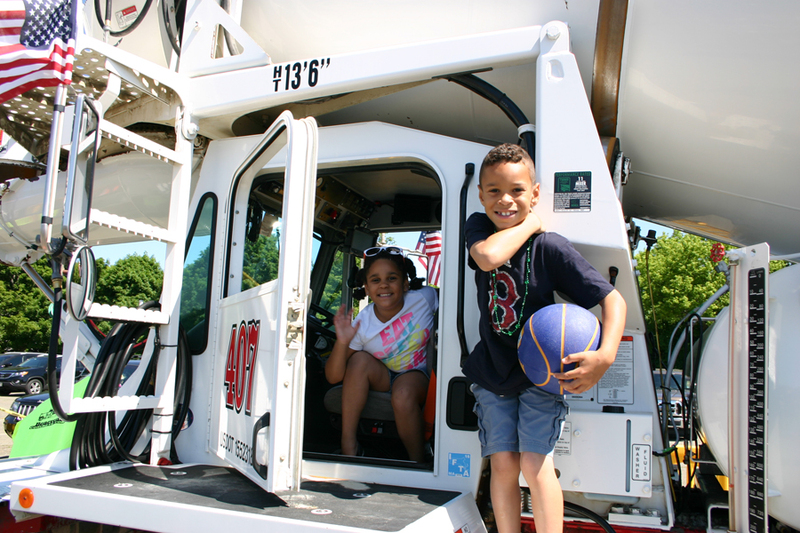 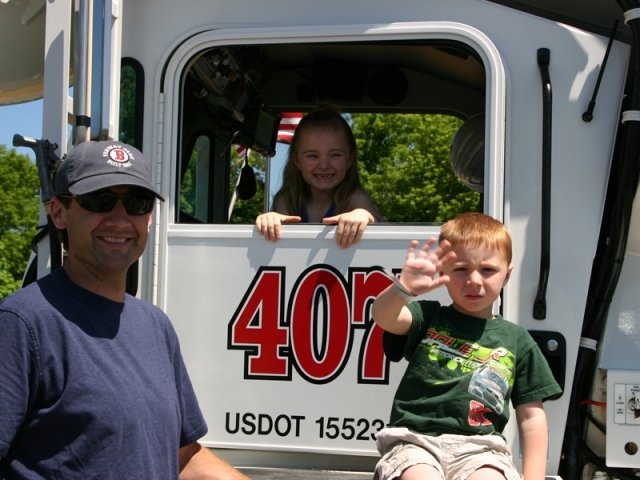 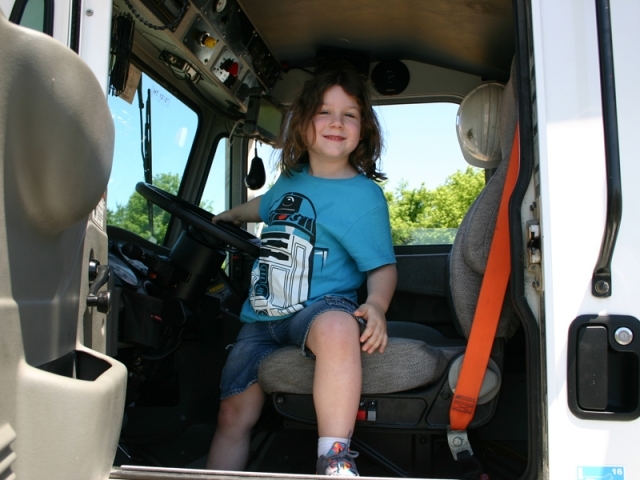 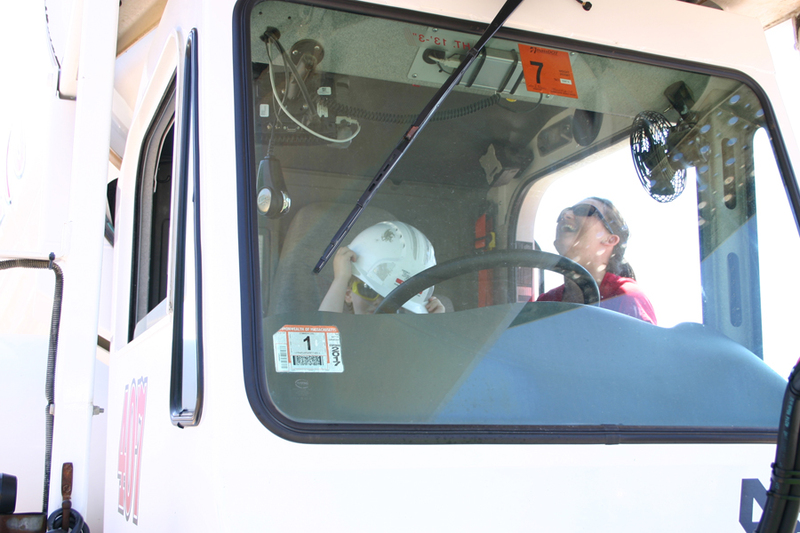 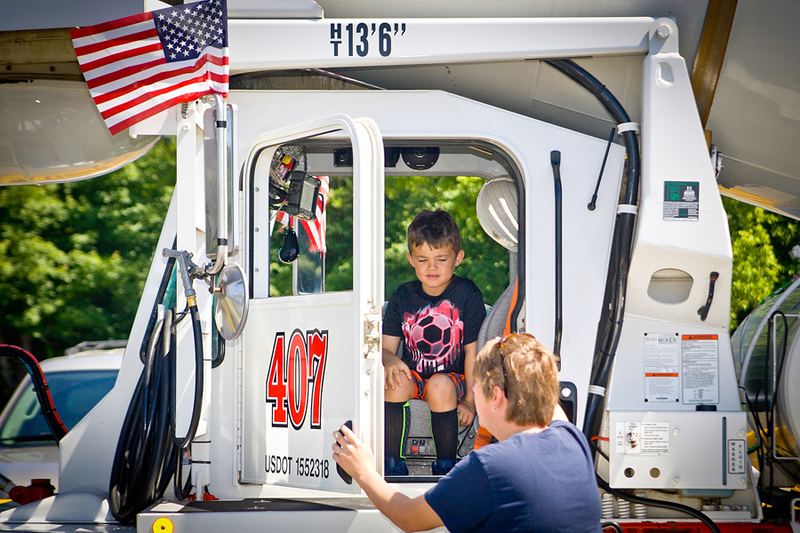 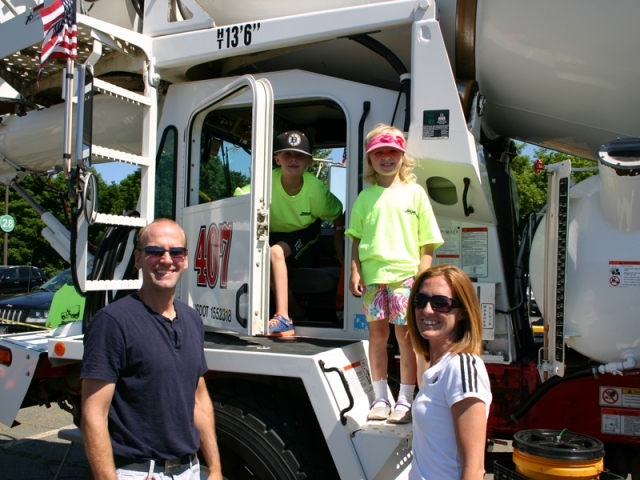 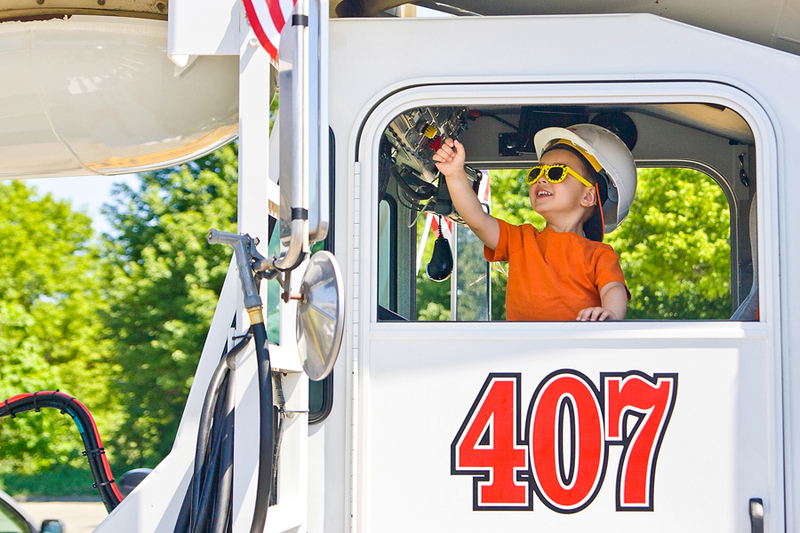 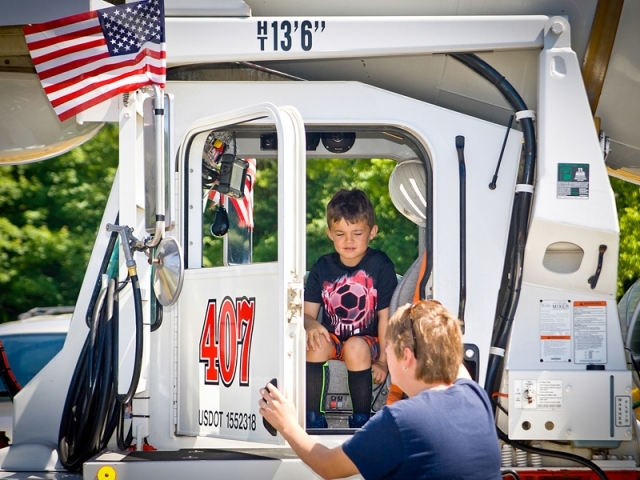 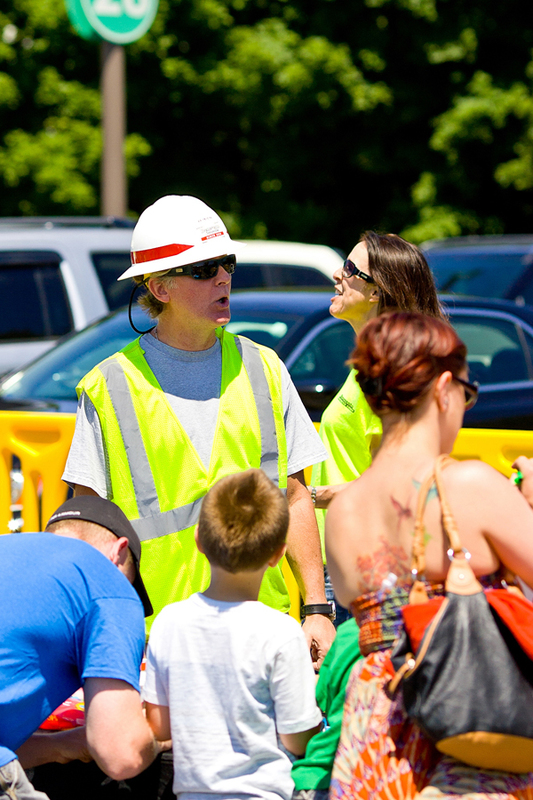 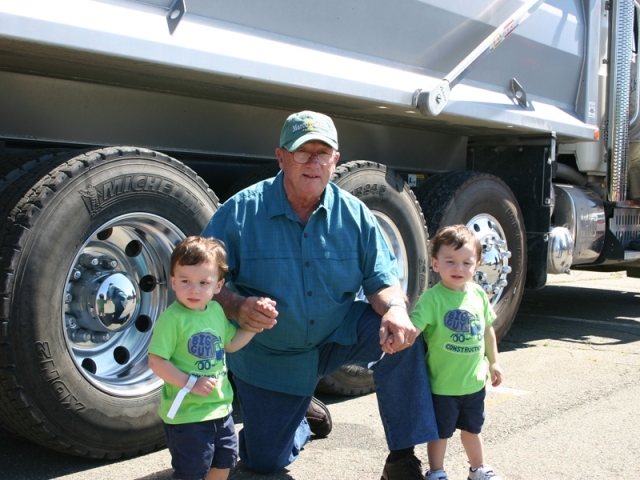 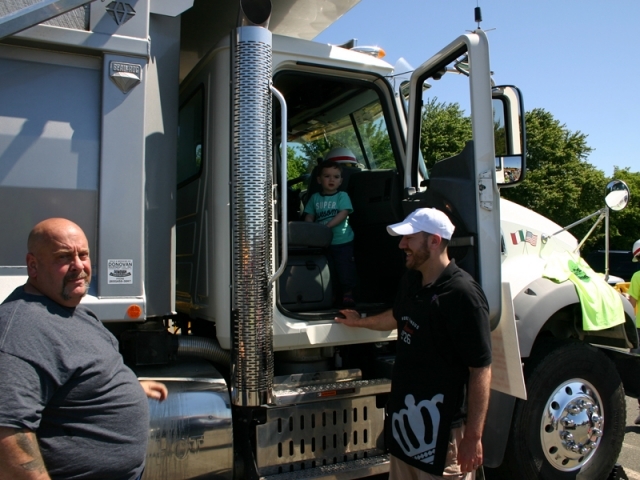 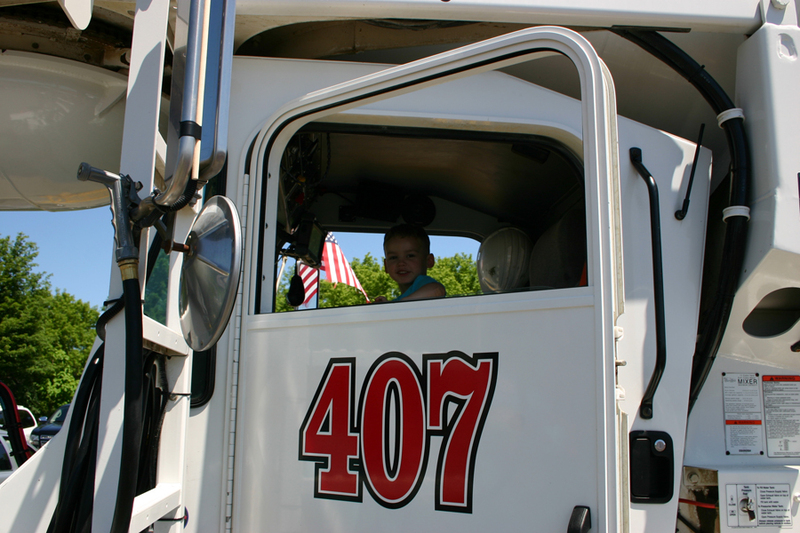 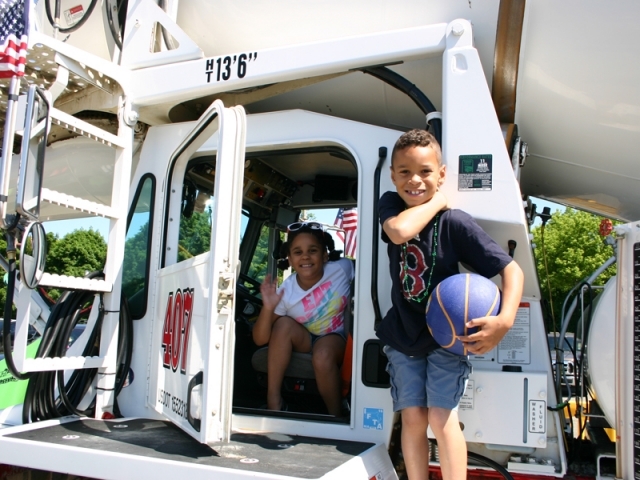 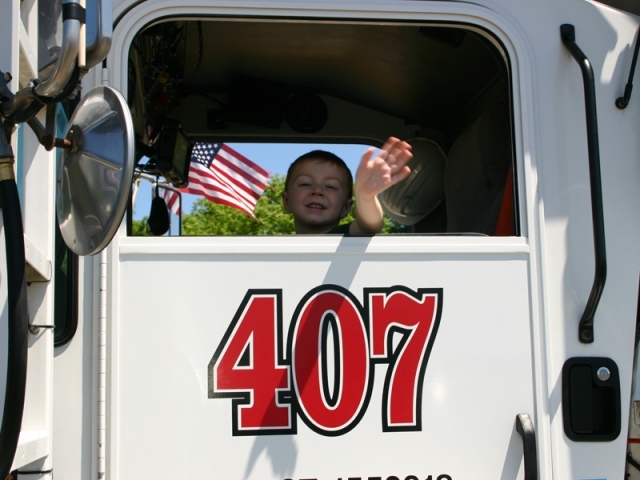 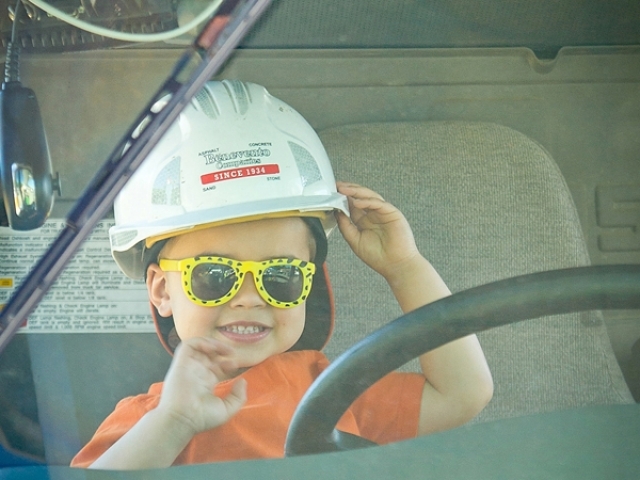 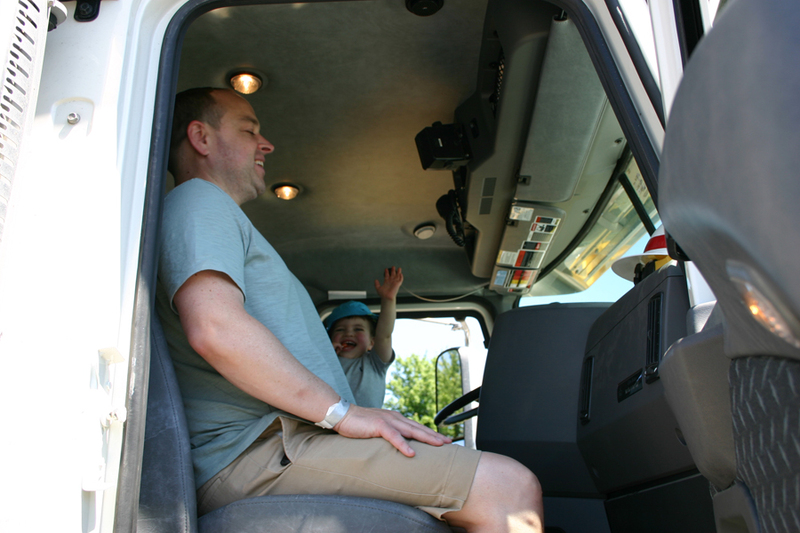 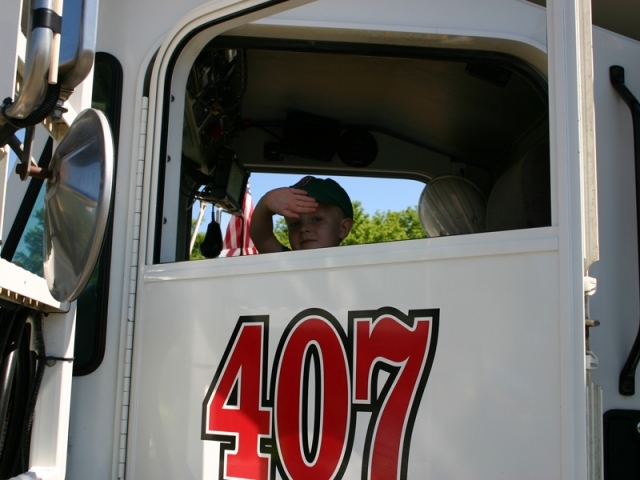 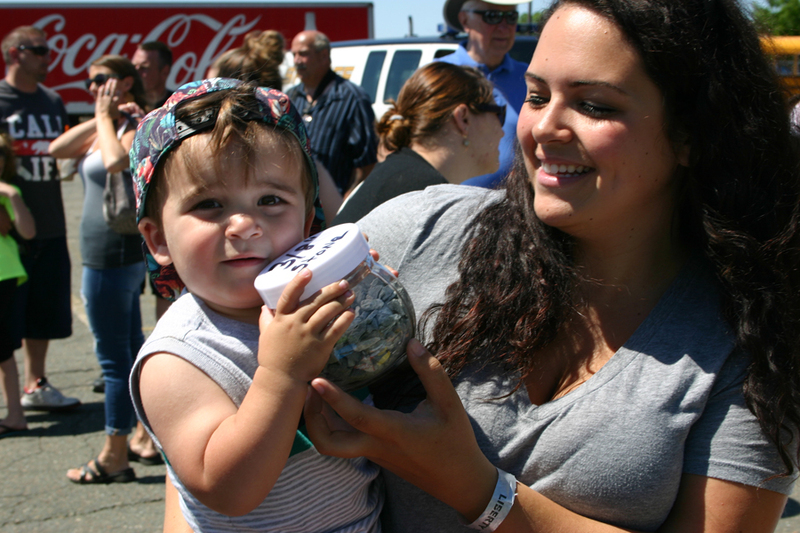 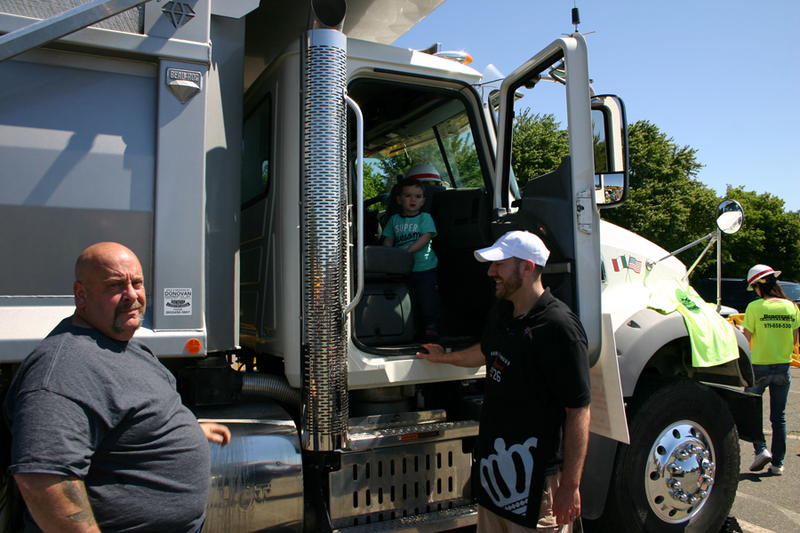 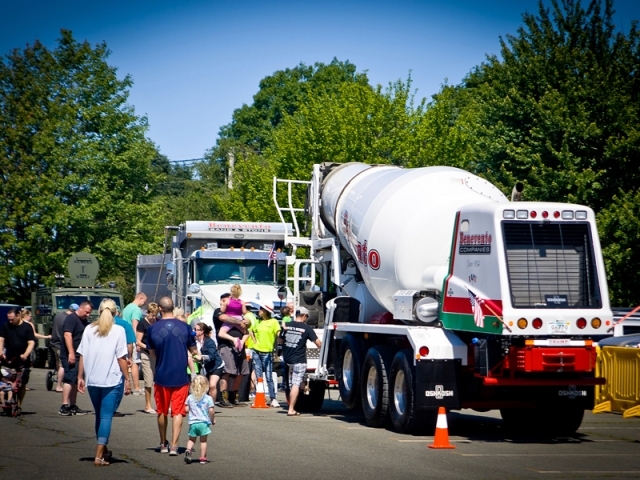 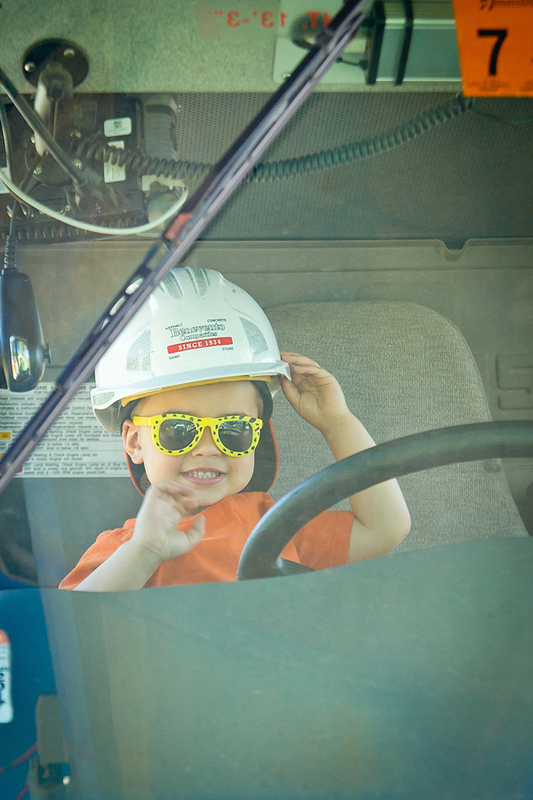 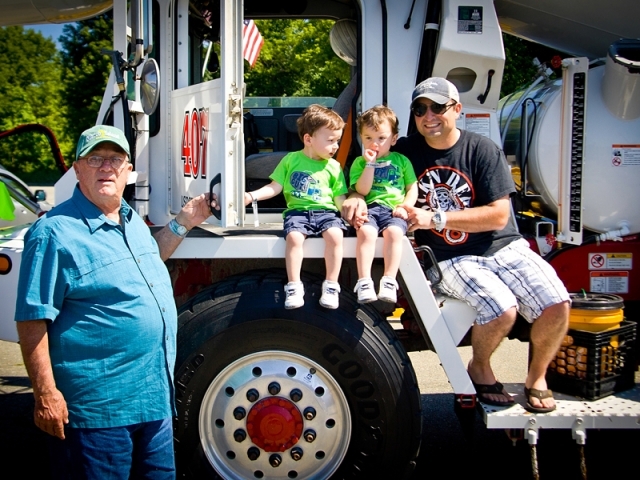 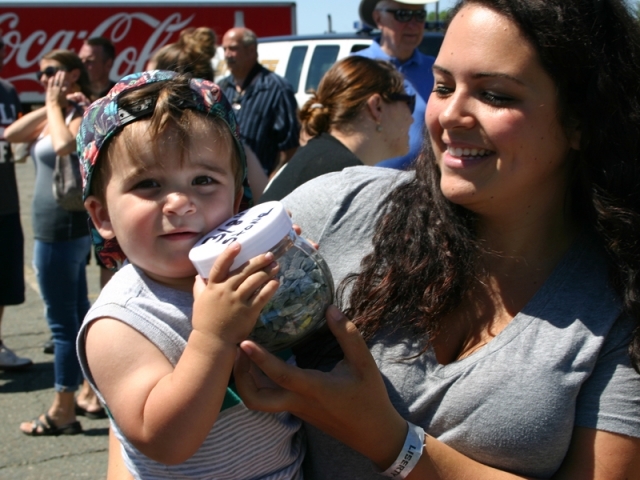 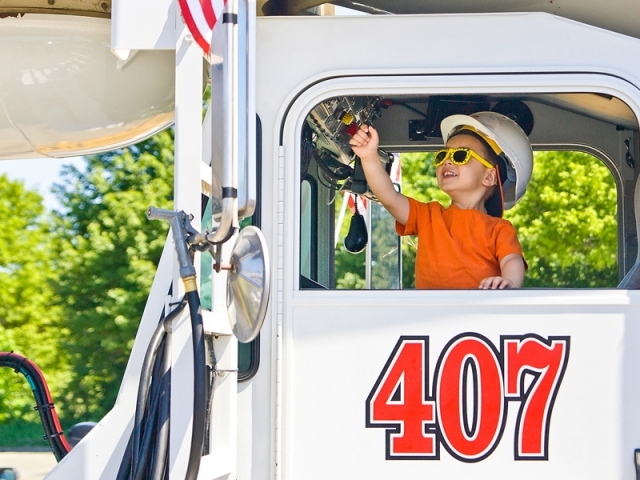 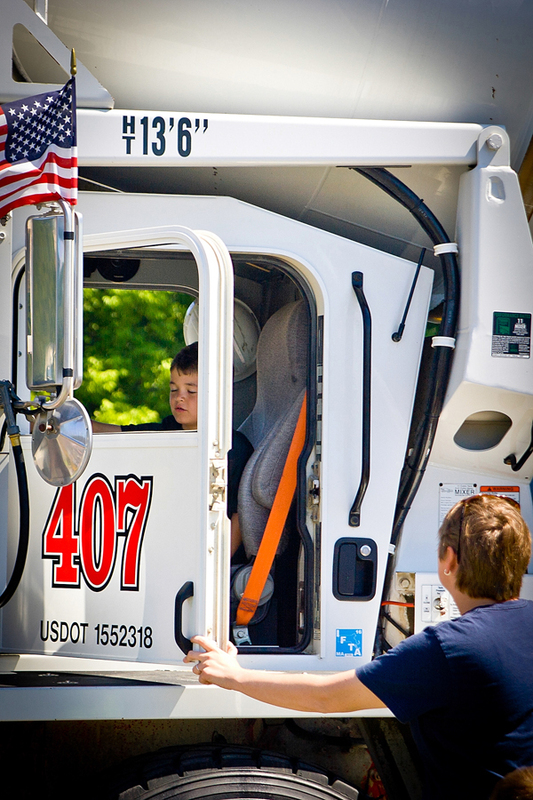 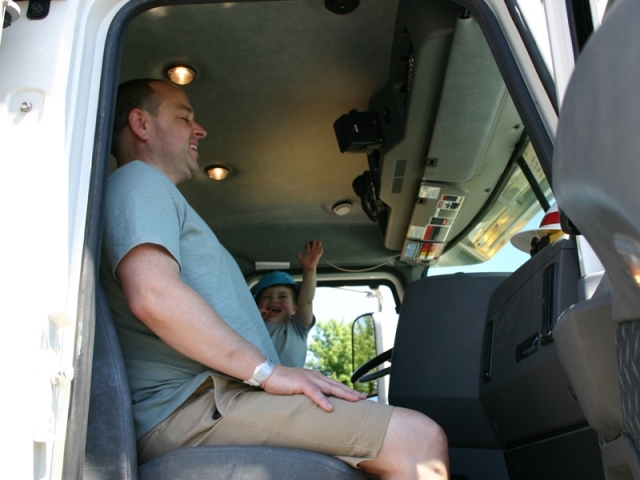 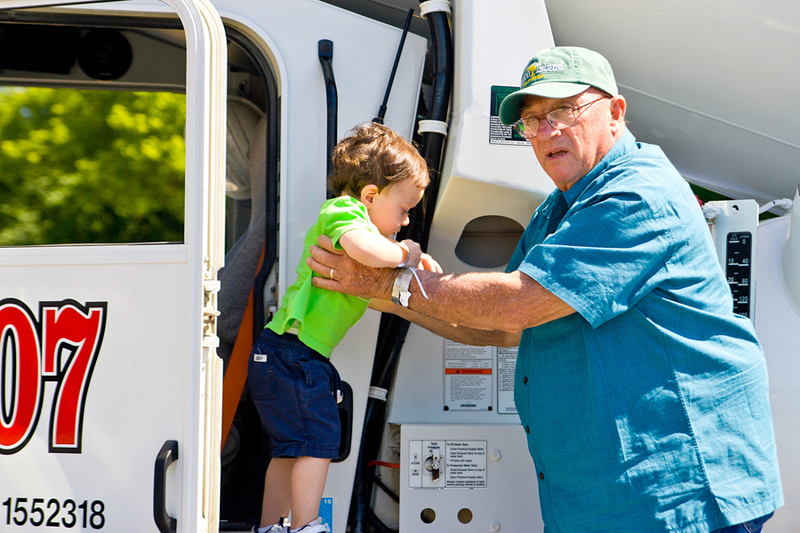 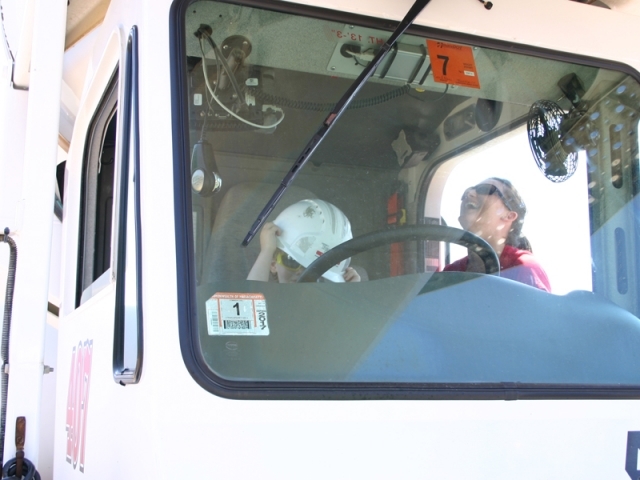 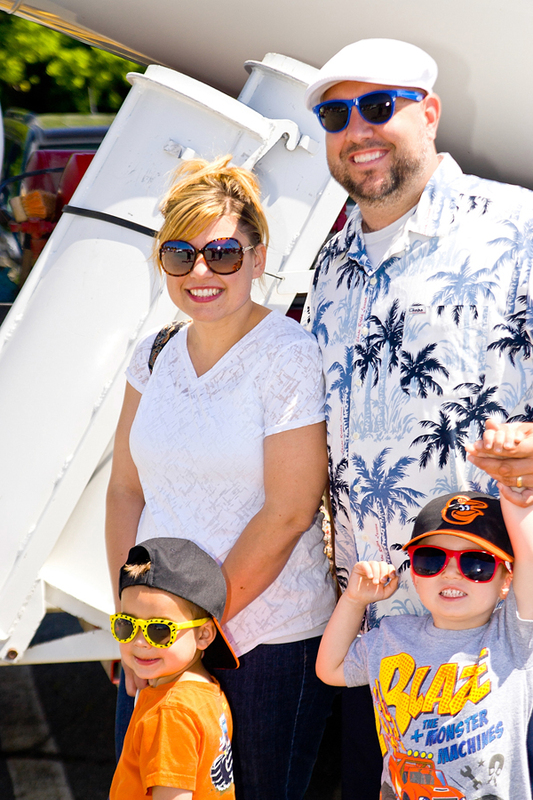 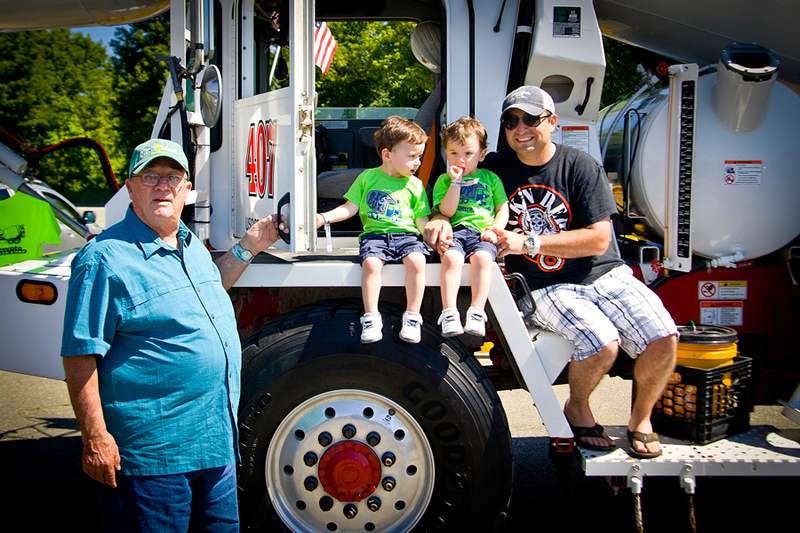 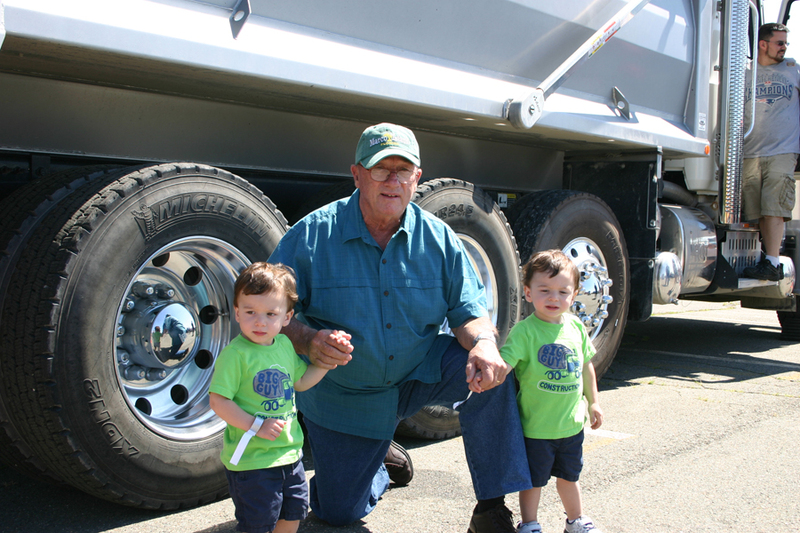 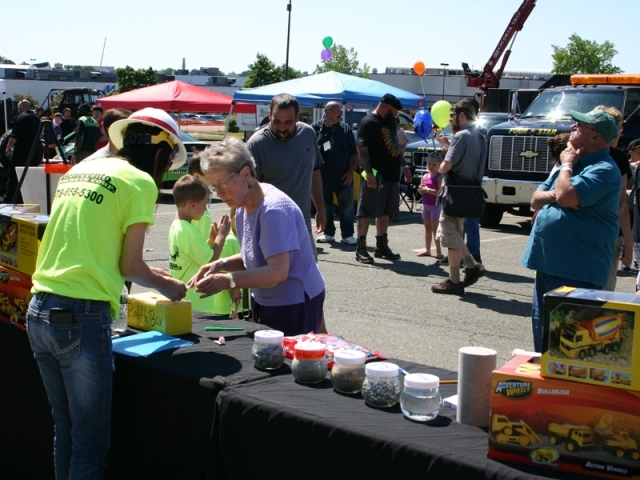 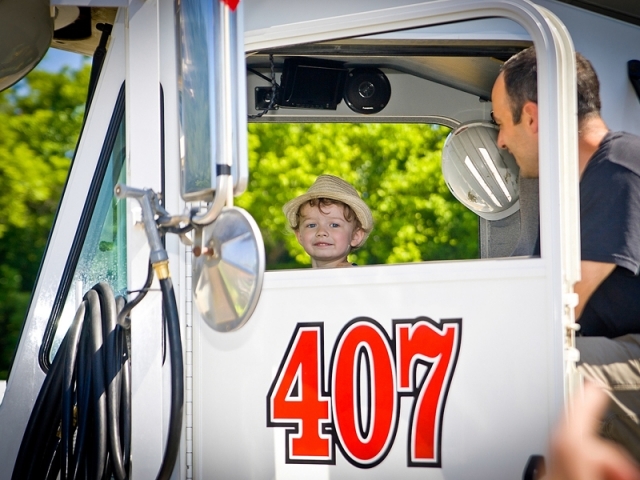 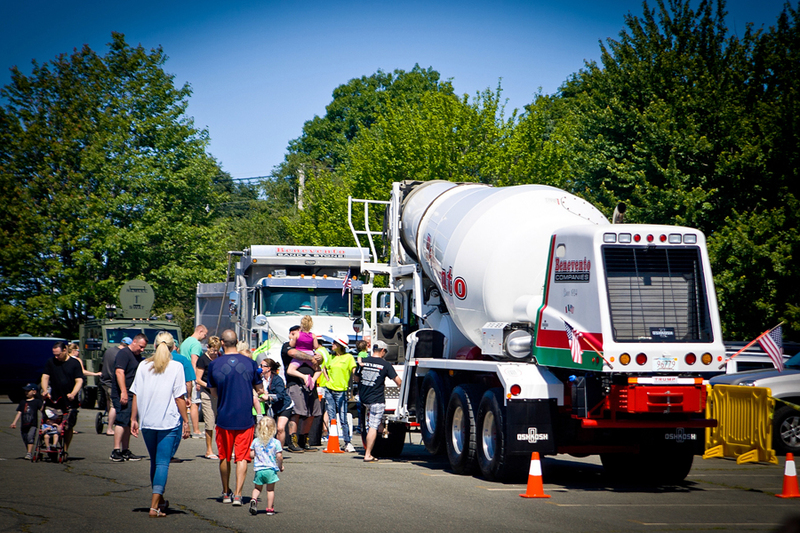 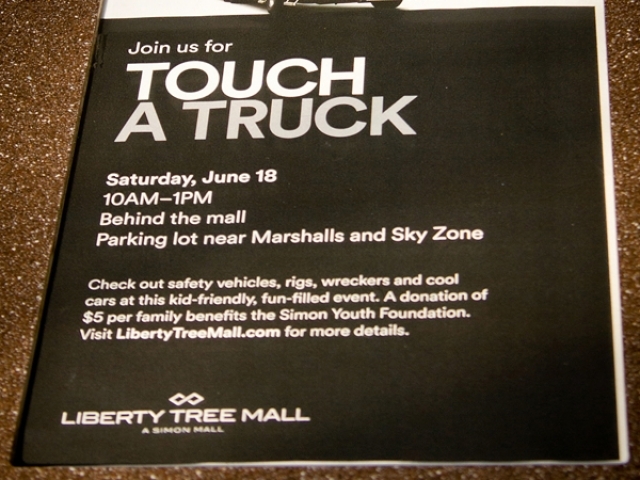 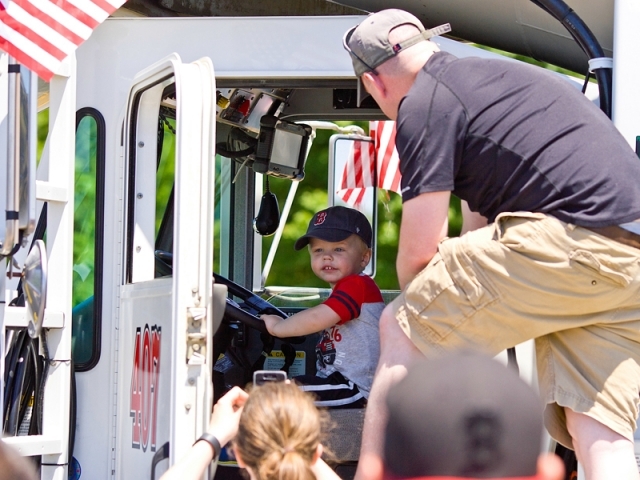 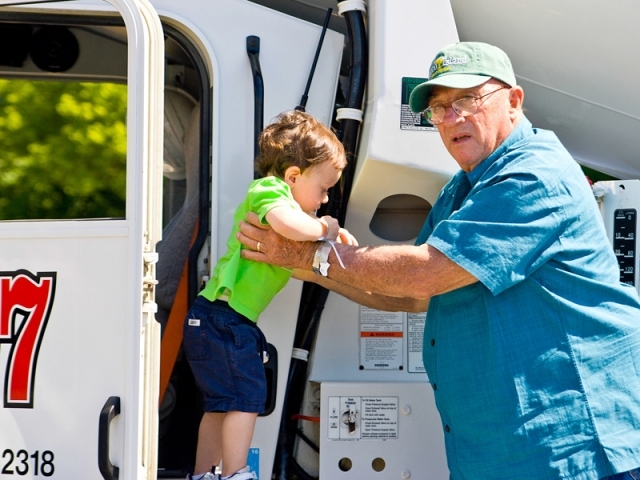 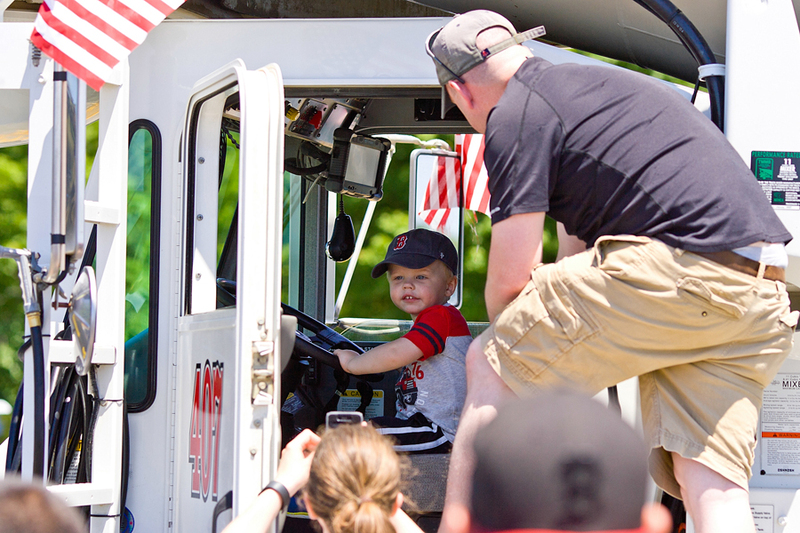 The Touch A Truck event benefited the Simon Youth Foundation. 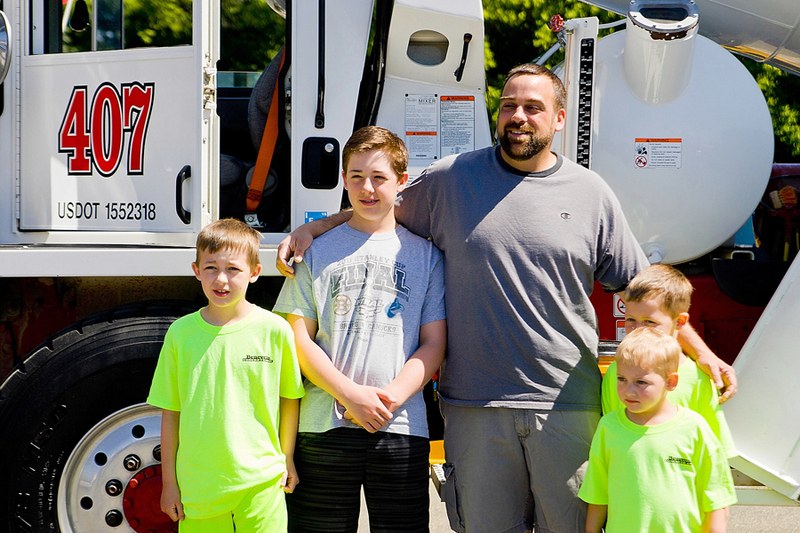 Read more about SYF here. 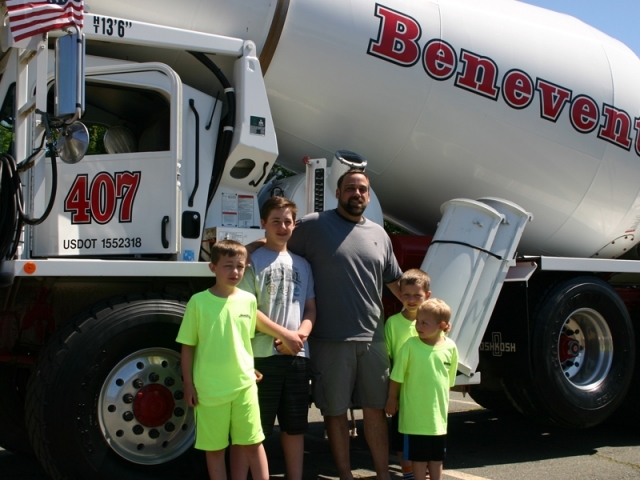 Owner Charlie Benevento made a $250 donation to the foundation, which gives out scholorships and helps at-risk youth remain in school. 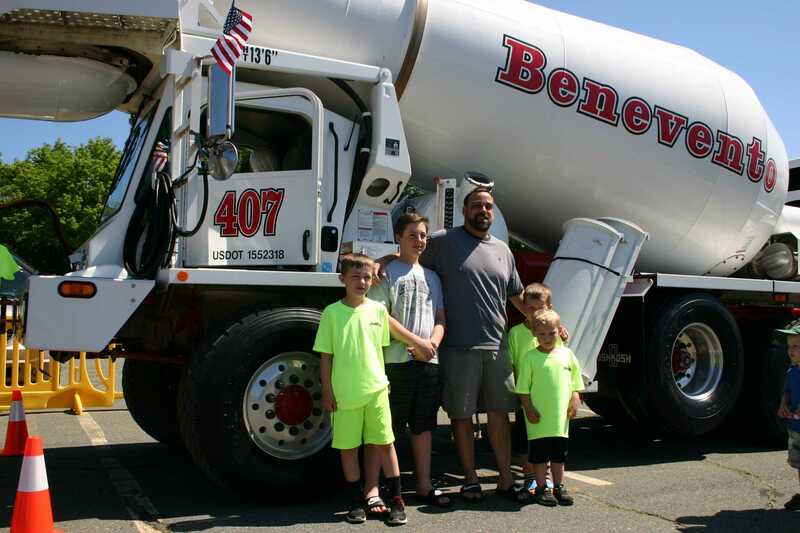 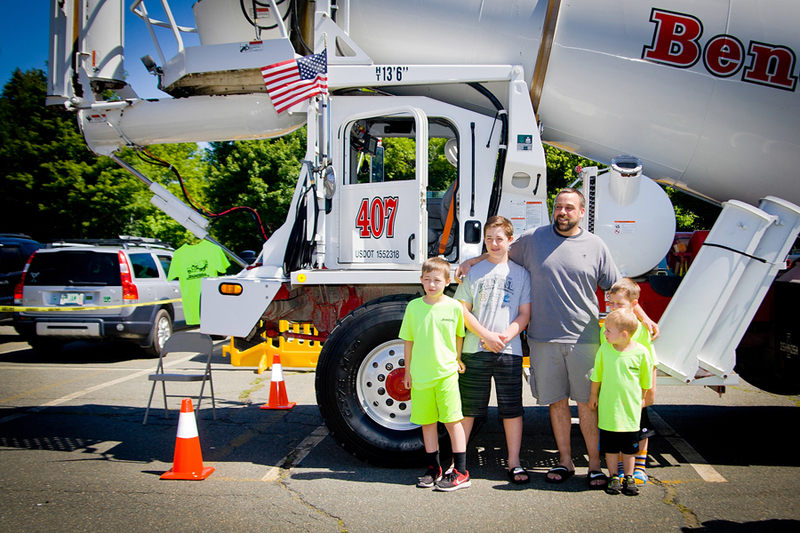 Special thanks goes out to all of the families and kids in attendance and also to Benevento drivers Bryan Pierce (Concrete) and Scott Harmon (S&S), Raffle Drawing Master Lori Hays and event photog John Faxon. 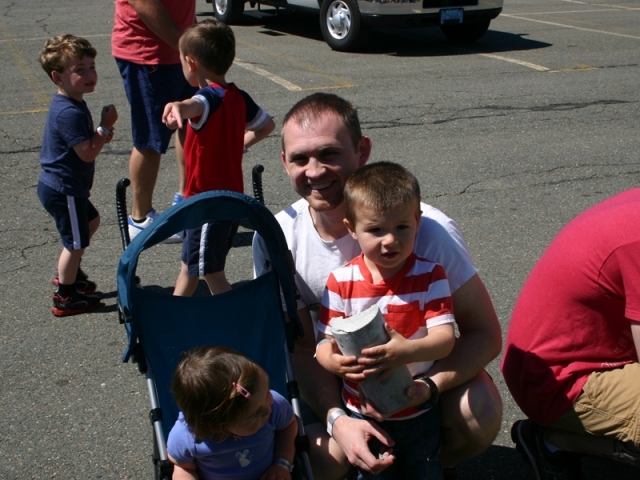 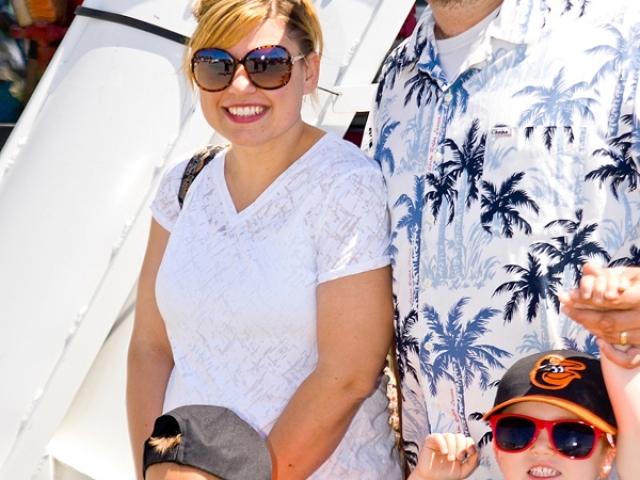 (All photos of kids used with parent permission).